HIVdigital is a competition for digital health solutions that focuses on problems and needs in the area of HIV. The goal is to start a discussion about innovation opportunities in HIV domain, inspire the generation of disruptive innovations and support the development process from the best ideas to the usable and useful solutions. 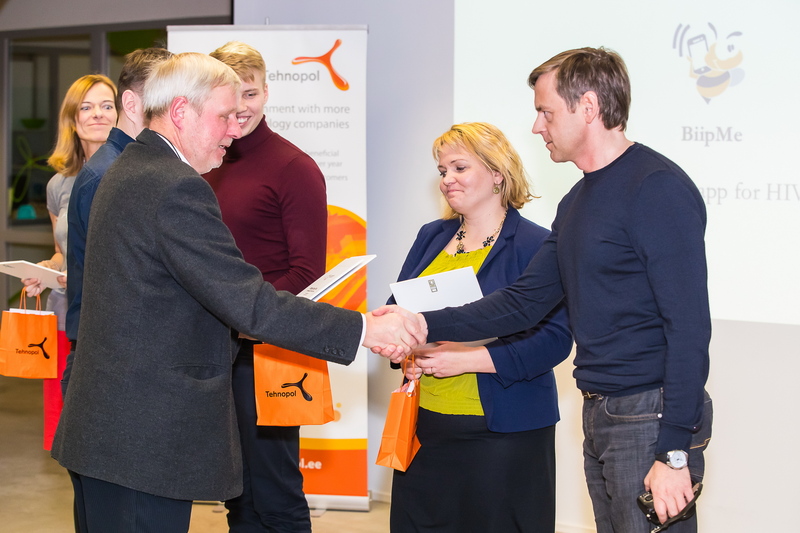 The competition is organised by the Estonian health technology cluster Connected Health, which is managed by Tallinn Science Park Tehnopol, and GlaxoSmithKline Eesti OÜ. The initiative has the support of the Ministry of Social Affairs. The competition is financed by ViiV Healthcare via the Positive Partnerships programme. The competition consists of three stages and will last a total 12 months, from June 2016 to June 2017. In the first stage, innovative ideas will be generated and developed for concepts. Submission deadline for ideas is 14 August 2016 (incl.). 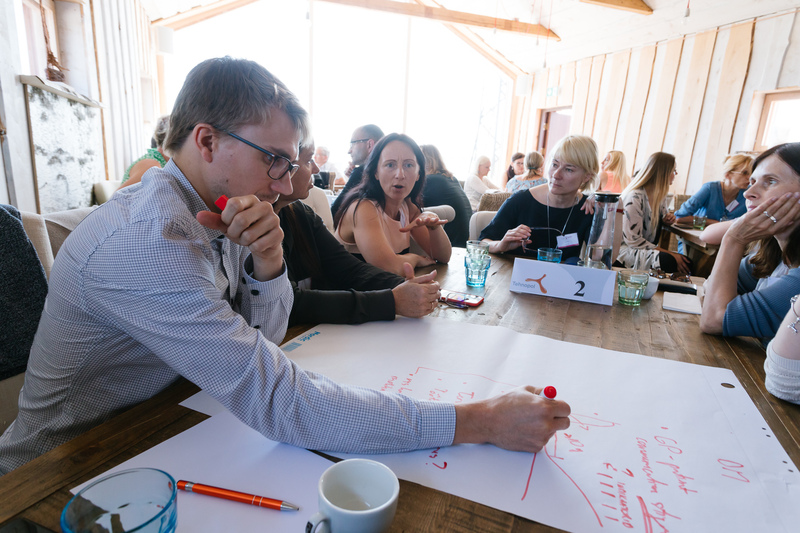 The HIVdigital Hackathon for validating ideas, forming teams and developing concepts will be held from 26-28 August 2016 in Tallinn. In the second stage, the best ideas will be turned to prototypes and in the third stage, the solutions will be tested and prepared for broader implementation. 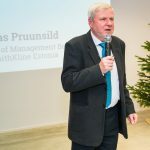 A prize fund of 100,000 euros has been created to support the development process. 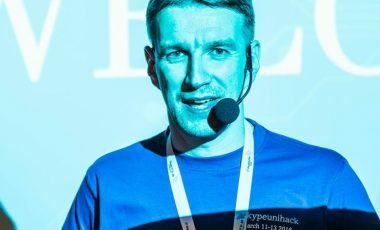 The fund will be distributed in two parts: up to 30,000 euros will be awarded for the most promising ideas for creating prototypes at the end of Hackathon; and a total of up to 70,000 euros will be awarded for the best prototypes for further development and testing the solutions at the end of the second stage. Everyone with a desire to contribute to resolving HIV problems through harnessing digital innovation opportunities is invited to join the competition. We invite technology developers, (social) entrepreneurs, designers, project managers, visionaries, marketing and other professionals to take part. Students and researchers are also welcome. Come and put yourself to the test by doing something meaningful. We also encourage subject matter experts to come along: patients and their representatives, practitioners from the healthcare and social sector, officials with a thorough knowledge of the HIV field. We want the solutions to be developed not for you but together with you! 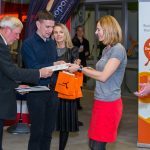 You can join by submitting your idea (and team) or signing up without your own idea but with an interest in complementing one of the teams. We believe that bringing together people from different walks of life will result in truly disruptive innovations. HIVdigital is a competition for digital health solutions that focuses on the greatest challenges in the area of HIV. The goal is to start a discussion about innovation opportunities in HIV domain, to inspire the generation of disruptive ideas and to accelerate the ideas to use and thus impact the lives of HIV-positive people. 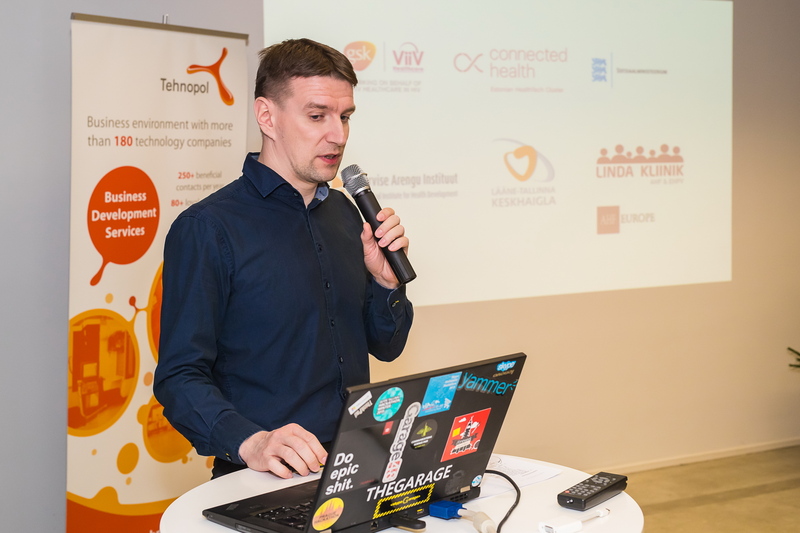 The competition is organised by the Estonian health technology cluster Connected Health, which is managed by SA Tallinn Science Park Tehnopol, and GlaxoSmithKline Eesti OÜ. The initiative has the support of the Ministry of Social Affairs. The competition is financed by ViiV Healthcare via the Positive Partnerships programme. 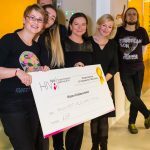 The competition is organised through the website www.hivdigital.ee, where detailed information is published, including deadlines, challenges, participation conditions and terms, evaluation criteria, participants, jury and mentors, prize winners and other information. The submission of ideas to the competition and registering for participation at Hackathon also take place through the website. The competition consists of three stages and will last a total 12 months, from June 2016 to June 2017. In the first stage, ideas will be generated and the concepts will be developed; in the second stage, prototypes will be created; in the third stage, the solution will be tested and prepared for broader implementation. The challenges to be addressed by the competition are published on the competition website. The ideas for solution submitted must clearly address one or more of the challenges, i.e. be aimed at resolving the problem described therein. However, the ideas for solutions may also be set out for other problems related to HIV. The jury will decide in such a case whether the idea advances. 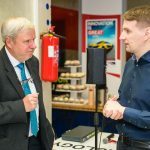 The 100,000-euro prize fund will be distributed in two part: up to 30,000 euros for preparing prototypes of the best ideas at the end of the first stage; and a total of up to 70,000 euros for testing the solutions of the best prototypes at the end of the second stage. The decisions on distributing the prize fund shall be made by the jury consisting of experts on HIV and health technology. The jury shall evaluate the expected impact, feasibility, usability, scalability of the idea/solution and level of commitment of the team. A more detailed description of the evaluation criteria is posted on the competition website. The jury may ask additional experts for advice in making their decision. The decisions of the jury are final and may not be disputed. It is possible to enter the competition either by submitting the idea for solution oneself or by joining one of the teams in the Hackathon. To take part, the idea for solution or application to take part in the Hackathon must be submitted via the online form on the website. Individuals, groups of individuals and legal entities (companies, institutions, NGOs, etc.) are all welcome to submit ideas. Participants may submit more than one idea. 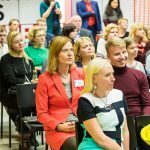 Ideas may be submitted either in Estonian and English. Copyrights and other intellectual property rights related to the proposed idea shall be retained by the submitter of the idea. If the award recipient discontinues developing the idea during the competition or implementing the solution after the competition, the organisers shall have the right of first refusal to the copyrights or other intellectual property rights related to the solution and thereby reserve the right to develop the idea and implement the solution. By submitting an idea or registering to the Hackathon, the participant accepts the competition conditions and grants consent to the competition organisers for processing the data submitted, including for contacting the participant in regard to the competition, forwarding to mentors and jury members and for publication on the competition website, at events, media coverage and other marketing activities related to the competition. The registration to take part in the Hackathon may be made from 14 June to 25 August 2016 (incl.). The organisers shall confirm the registration on an ongoing basis. It is no longer possible to enter the competition at subsequent stages. 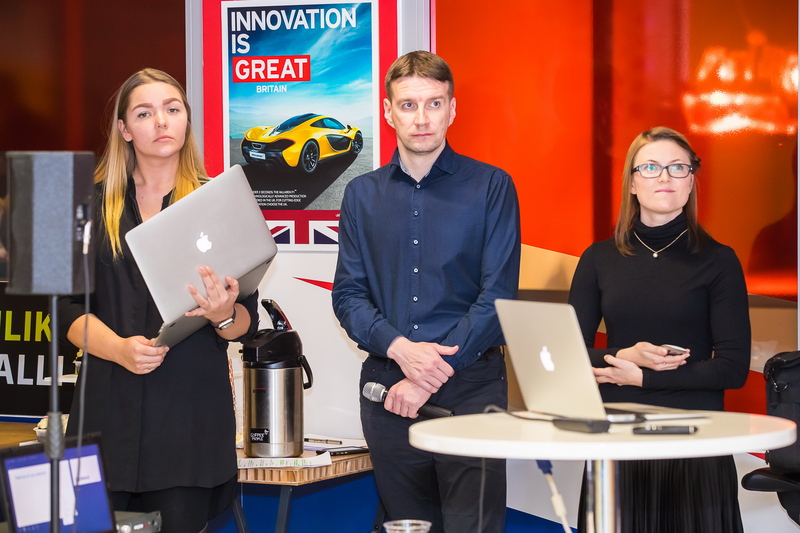 The ideas for solutions received by the deadline shall be evaluated by the jury, which shall make the decision as to whom to invite to the Hackathon to present and develop further the idea. The participants shall be notified regarding the decision at least 1 week before the Hackathon takes place. 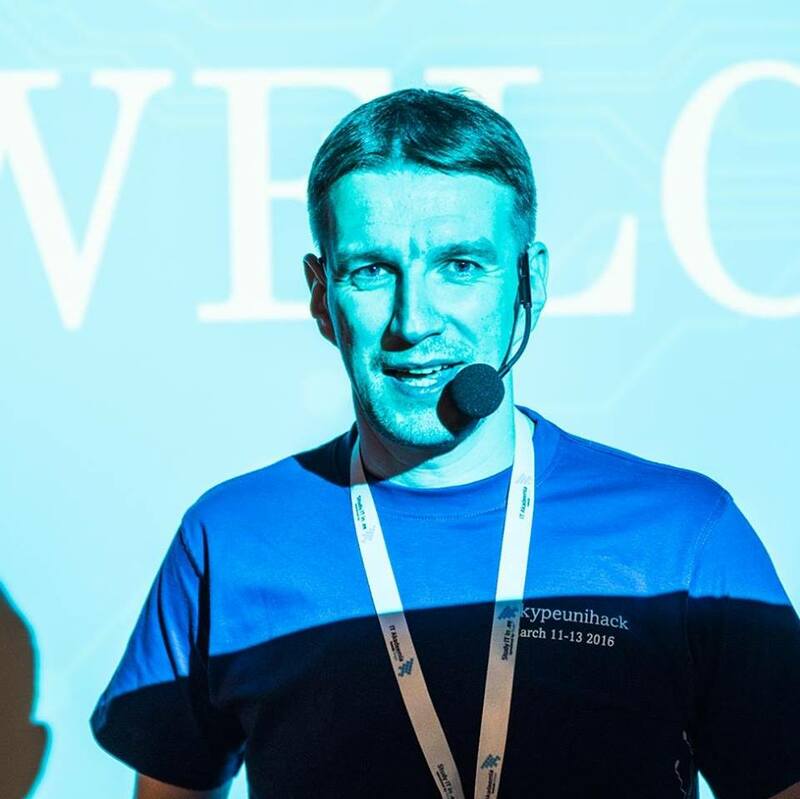 Participants who receive an invitation and do not show for the Hackathon may not continue participation in the competition. The Hackathon is an intense event spanning one weekend for forming teams and further developing of ideas. 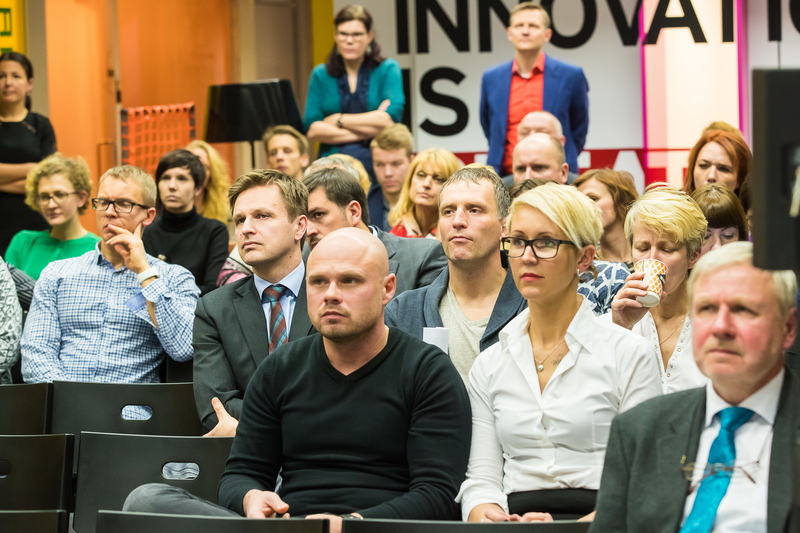 The Hackathon will be held from 26-28 August 2016 in Tallinn. 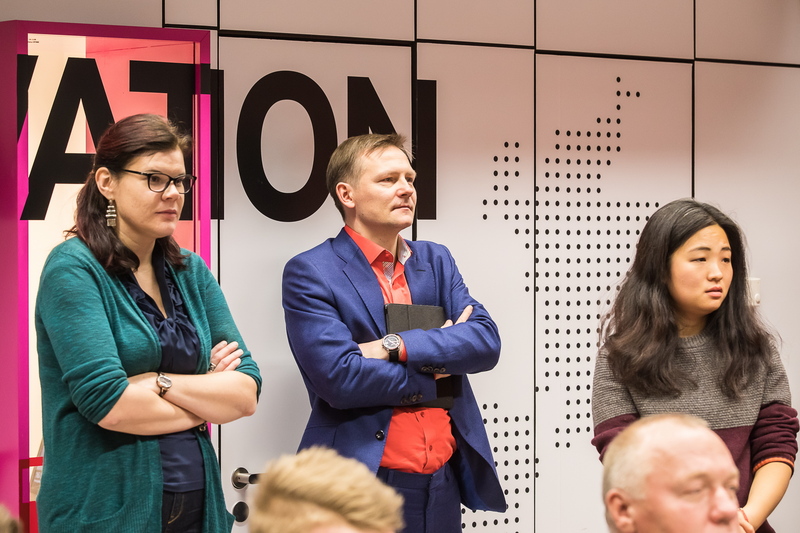 The Hackathon will conclude with the selection by the jury of the ideas with the greatest potential and the making of a decision regarding the distribution of prize fund dedicated for this stage. There will be 30,000 euros given out in the first stage. 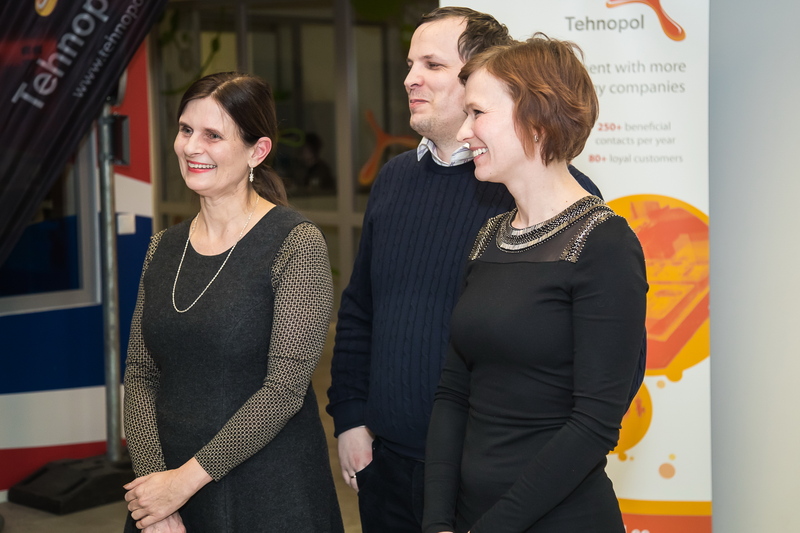 The prize money will be complemented by free expert advice from the experienced mentors at Tehnopol and the HIV experts engaged by competition organisers (including clinicians and patients). The precondition for receiving prize money in this stage is the confirmed willingness by the participant to develop a prototype from the idea within the timeframe of the competition. 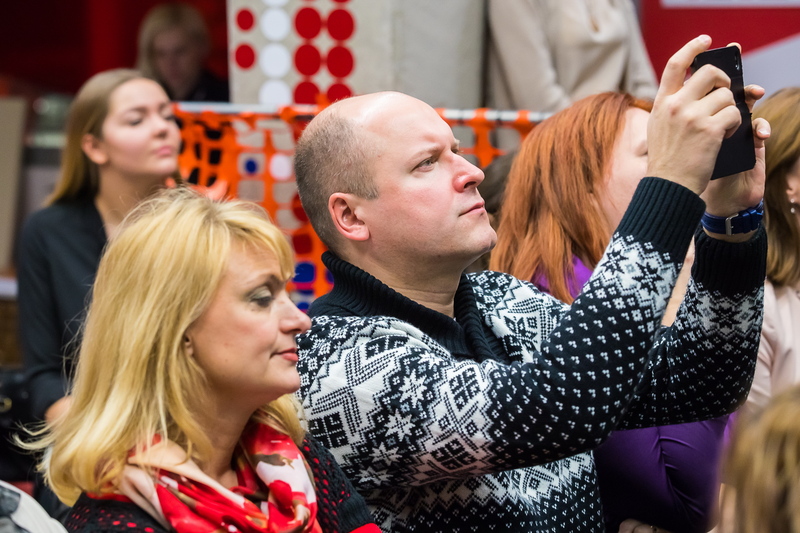 The second stage will last from September to December 2016; during this time, the awarded ideas will be developed into prototypes based on the implementation plan and budget laid out by the participant. 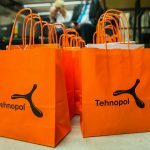 Compliance with these plans will be monitored by SA Tallinna Teaduspark Tehnopol under an agreement to be concluded for this purpose. In addition, individual and group mentoring sessions will be organised for participants. The prototype development stage will end with presentations made to the jury. 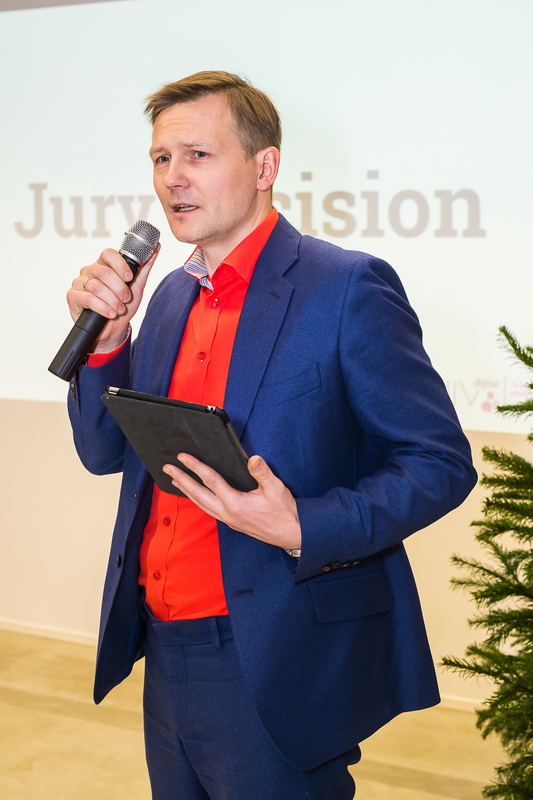 On the basis of the presentations, the jury will select one or more prototype to proceed to the next stage and make the decision regarding distributing the prize money dedicated for this stage. There will be 70,000 euros handed out in the second stage. 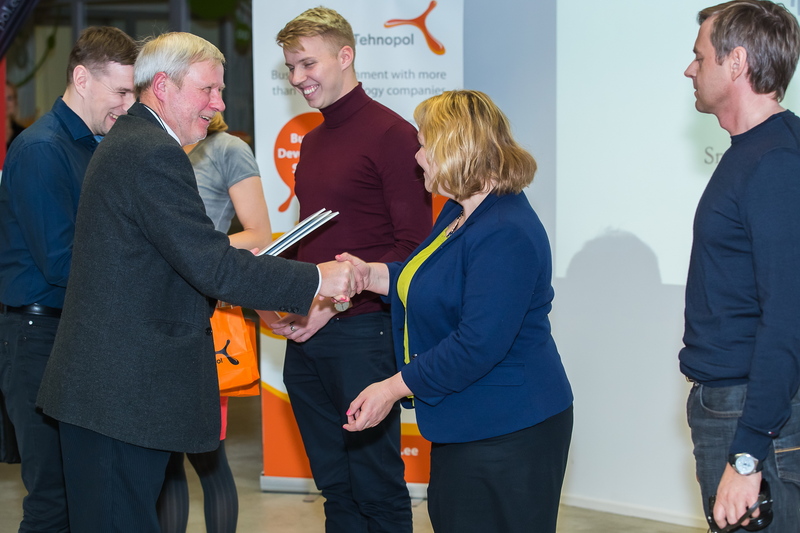 The monetary prize will be complemented by free expert advice from mentors, including HIV experts engaged by competition organisers (including clinicians and patients). The participants that received awards will be presented at a public event. The preconditions for receiving prize money in this stage are: a) starting up a company if the participant to this point has been an individual or group of individuals: b) confirmed willingness to develop the prototype into a solution within the timeframe of the competition. The third stage of the competition will last from January to June 2017. During this time, the prototypes will be developed further, including testing with users and preparing for scaling the solution. The activities will take place pursuant to the implementation plan and budget laid out by the participant. Compliance with these plans will be monitored by SA Tallinna Teaduspark Tehnopol under an agreement to be concluded for this purpose. In addition, individual and group mentoring sessions will be organised for participants. Solutions ready by the end of the third stage will be introduced to HIV stakeholders and the public in June 2017. 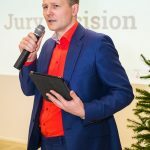 The organisers shall reserve the right to make changes in the competition deadlines and the members of the participating experts (jury and mentors). Changes will be announced on the competition website. 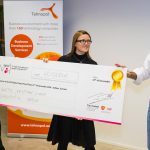 The organisers will not reimburse participants for any expense or cost incurred in connection with submitting the idea for solution or participating in different stages of the competition. By submitting an idea, the participant confirms the accuracy of their data, their willingness to take part in the competition and their consent to the terms and conditions of the competition. The competition is a search for innovative solutions for improving the quality of life of HIV-positive people. With the help of HIV-positive people and specialists in the field, we have identified 4 challenges that we want to see solution developers focus on. We will evaluate the potential of the (idea for) solution to respond to the challenge(s) and impact key indicators (e.g. UNAIDS 90/90/90 target, including making sure diagnosed HIV-positive people are linked to care and have treatment adherence). As a result of the competition, we expect at least one usable and useful digital health solution by June 2017. 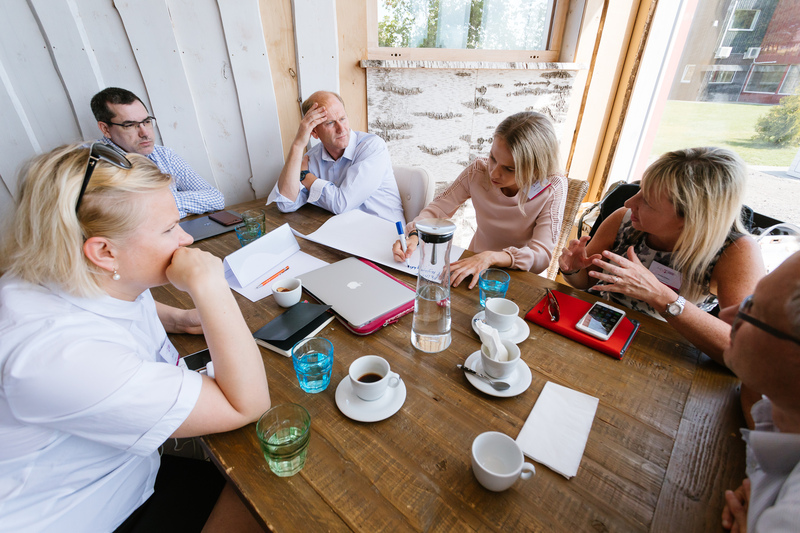 We evaluate the likelihood that the (idea for) solution will, considering the timeframe of the competition, develop from idea to a working solution and sustainable business model. The competition is open to concepts at various stages of development (idea, prototype, customisation of solutions from elsewhere for the HIV field, etc.). HIV-positive people are at the centre of the competition; we have defined two patient groups with different needs – and the family members and specialists (doctors, nurses, support staff, etc.) who help and support them directly. 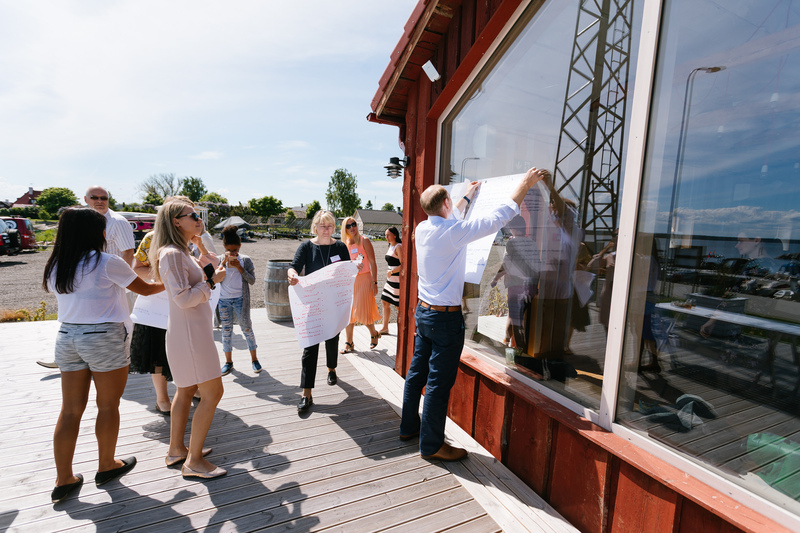 We will evaluate to what extent the (idea for) solution specifies and understands the needs of target audience and incorporates the principles of human-centred design. 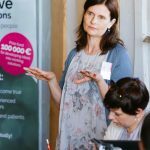 HIV is not just a problem for Estonia, just as the problems that come up in the treatment of HIV are not different from the problems related to other chronic diseases. 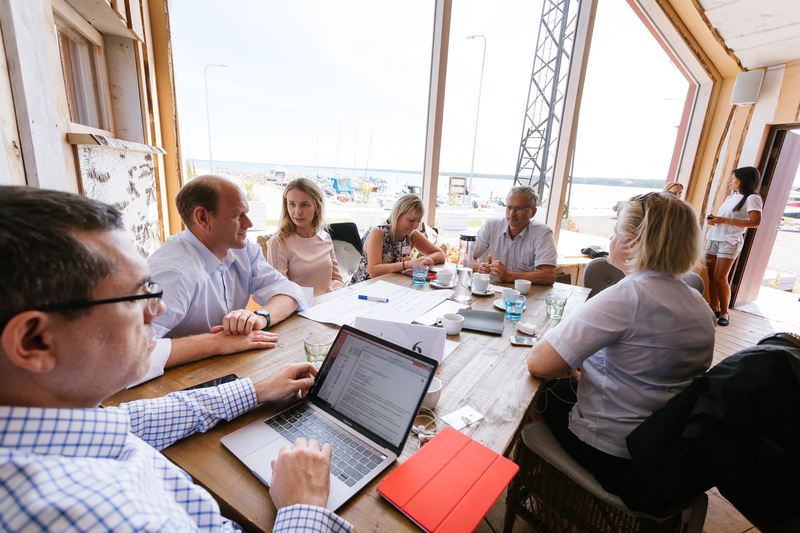 We will evaluate the potential for implementing the (idea for) solution in Estonia more broadly in the field of HIV, the adaptability of the solution for other healthcare fields (such as other chronic diseases) and the commercialisation potential, including exporting. The goal of the competition is not only to generate innovative ideas but also to achieve working solutions with sustainable business model. We will evaluate the team’s dedication and ability to develop and execute the (idea for) solution and to sustain it beyond the competition timeframe. How can we effectively share with HIV-positive people knowledge of living with HIV? How can we bring patient and care team into one information space and monitor a person’s health as a whole? How can we raise the motivation of HIV-positive people with poorer treatment adherence to take care of themselves and their health? How can we offer support and security to HIV-positive people in a manner that’s suitable for them? 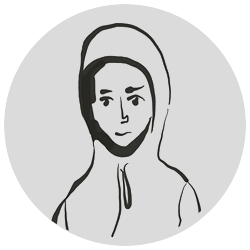 Here you can upload illustrative materials - video, presentation, photos etc. NB! Minor changes in the agenda are probable and possible. 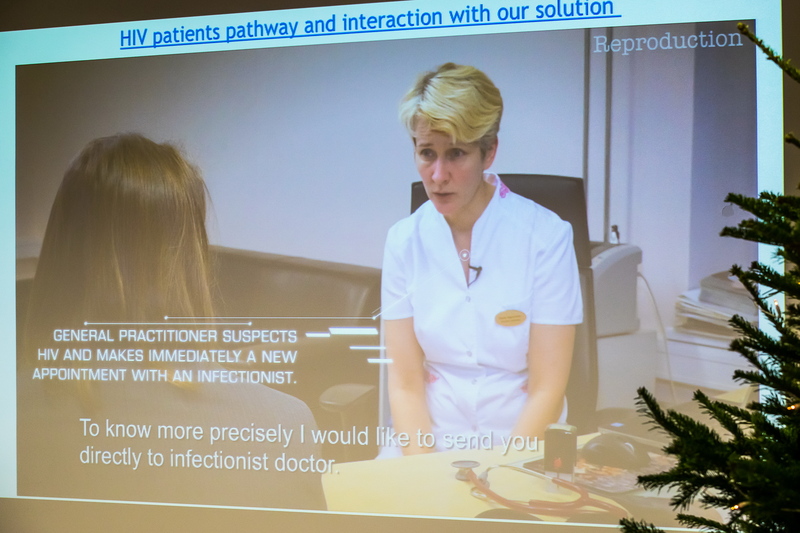 The current patient journey was analysed in the strategic design workshop, in which experts and people living with HIV took part. Four challenges were revealed from the various problems and needs, and with the HIVdigital competition we will be looking for innovative digital solutions to these. 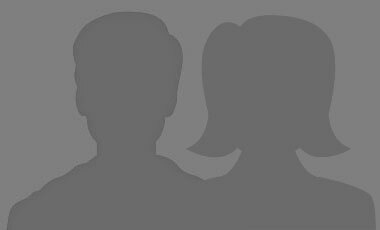 Think of your solutions based on two personas, Artur and Maria, who characterise two different patient groups. 1. How can we effectively share with HIV-positive people knowledge of living with HIV? Increasing awareness of the nature of the disease and prevention methods, modern treatment options and impacts of treatment is important for both people living with HIV and the sexually active population at large. Knowledge and awareness dictates how good the health behaviour of HIV-positive people is. Specialists who work with HIV-positive people say that some patients have a limited understanding of their disease and the nature of treatment. Apart from monitoring their condition and dispensing medication, healthcare professionals cannot always hold comprehensive conversations or offer motivation and support for every person. The health behaviour of every HIV-positive person however has an effect on whether the virus will continue to spread or not. We expect people living with HIV to get the information they need easily, and the information should be as appealing and understandable for them as possible. We are looking for a communication solution that will help healthcare professionals and social sector specialists engage with their HIV-positive patients’ education in a more time-efficient manner. We are looking for solutions for HIV-positive people in different patient groups. All people living with HIV have a high level of awareness of the disease and the nature of treatment and this has a positive impact on treatment adherence. Artur is 32 years old. 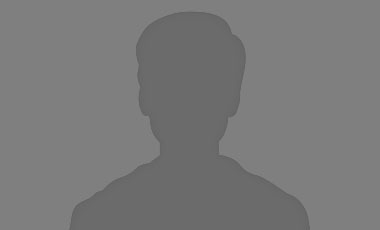 He has no fixed address, and crashes with different friends and acquaintances in the city of Jõhvi. 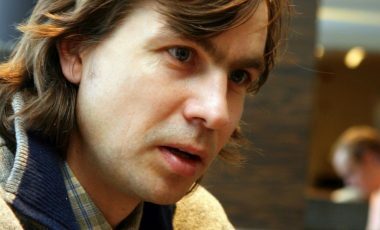 He lives off of what he steals and state benefits (about 160 euros a month) He has done time in prison twice in his life. He used to have domestic partners. His ties to family have been cut. Maria is 42 years old. 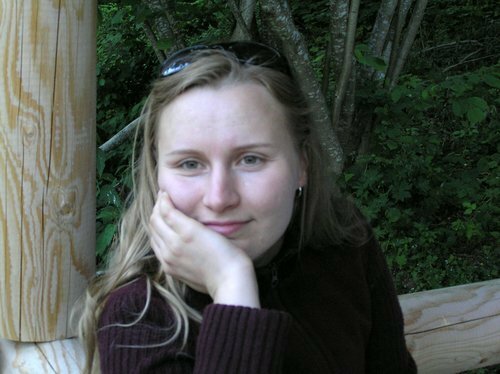 She has an apartment in Tallinn but is temporarily living in Pärnu. She works as an accountant. 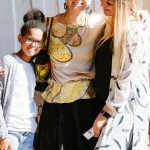 She is separated, and has two grown children from that relationship. She talks frequently with her parents and other relatives. 2. How can we bring patient and care team into one information space and monitor a person’s health as a whole? Modern healthcare involves close teamwork between the person, his or her loved ones and various specialists. Each HIV-positive patient is served by many specialists from various institutions, such as infectious disease specialists, infectious disease nurse, peer counsellor, mental health specialists, GP, social worker and more. Communication between parties is currently seen as fragmented rather than effective. We need a patient-centred solution, one that would bring family members and the specialists working in different institutions or locations into a common information space. We would like every party to have access to the information they need for making decisions. It should be easier for all parties to follow the treatment plan. This is especially important for ensuring the continuity of treatment for people with lower motivation. We await solutions for HIV-positive people from different patient groups, those closest to them and members of the medical and support team. 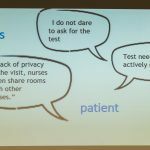 IT solutions are good for documenting decisions; patient-centred and team-based communication has not yet been developed. The person living with HIV, his/her loved ones and the specialists feel they are working like one team, even though they have a different role, employer, location and working hours. 3. How can we raise the motivation of HIV-positive people with poorer treatment adherence to take care of themselves and their health? HIV-positive people include those with very different life habits and socio-economic backgrounds. Problems with treatment are often seen in those in socio-economic difficulty, especially those who have dependency problems. Many people with dependency problems would like to turn their lives around, but their motivation is unstable and there are far from enough resources for them. Also, they lack guidance among their acquaintances on whom to turn to for advice and support in changing their lives. People with dependencies have lower than normal coping skills, and they lack feelings of self-worth and confidence that life could be different. They are surrounded by the negative judgments of others. 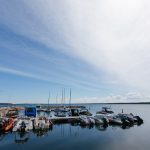 Their past life with dependency, which often involved offences and punishments, makes it harder for them to find official work, especially if the unemployment rate is high. Unstable life rhythm, poverty, exclusion and long-term depression lead to low motivation with regard to taking care of their own or others’ health. We are looking for a solution that will motivate people to take better care of their health and the health of others, and offers them support in doing so, thereby reducing their isolation. The challenge is aimed at helping HIV-positive people in major socio-economic difficulties. All people living with HIV care about their health, follow the treatment plan and are included in society. 4. How can we offer support and security to HIV-positive people in a manner that’s suitable for them? HIV diagnosis comes as a major shock for many people at first, and they need support from others to adjust to their disease. Due to stigma, people living with HIV tend only to tell a few of those in their inner circle about the disease. There are also people who may not have enough loved ones who are aware of the disease and who can provide adequate support. Doctors and nurses try to direct people to peer counsellors and psychologists. However, some people may turn down such intervention as going to see a psychologist also comes with a stigma, and they may not find the peer counsellor who they feel is right for them. Thus, some people may find themselves alone with their worry and instead of focusing on treatment and everyday activities, they may sink into depression. For example, HIV-positive people are afraid of discrimination from employers and are in a quandary about whether and how to establish new intimate relationships. We are looking for a solution that would support HIV-positive people at a time and place and in a manner that suits them. It should provide the possibility to serve as a support for other HIV-positive people as well. We are looking for solutions for people living with HIV in different patient groups. No HIV-positive person should be alone with their worries and fears. 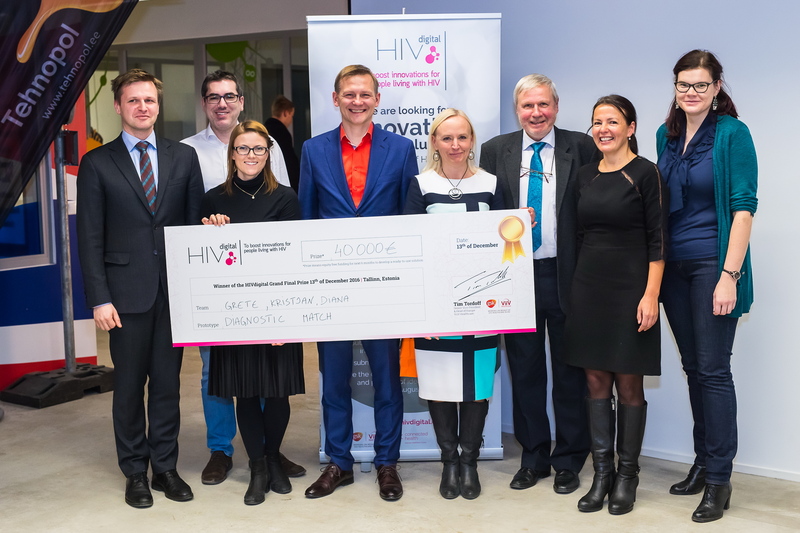 The HIVdigital competition with its €100,000 prize pool launched a year ago and has resulted in two innovative digital solutions in the field of HIV. The decision support platform Diagnostic Match is a tool for general practitioners that helps to detect people needing HIV testing in mere seconds. The hINF mobile application facilitates communication between HIV-positive patients and their attending physicians and helps to save time by replacing nearly half of the visits with digital visits. 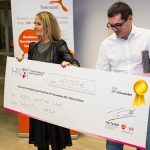 According to Kitty Kubo, the organiser of the competition and the innovation lead of the health technology cluster Connected Health, the results of the HIVdigital competition are excellent. “Both solutions are driven by actual problems experienced by doctors and patients, and they were co-created by them. 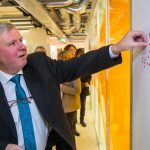 One of the solutions is aimed at a better detection of HIV-infected people, and the other engages in better organisation of treatment of HIV-positive patients. 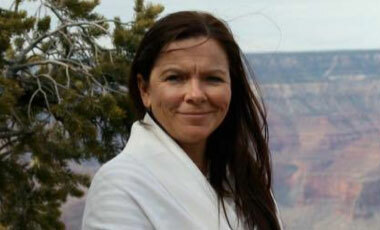 Without the HIVdigital competition, those solutions would not exist,” she commented. Kubo says that in addition to particular digital solutions, an extra value is derived from the innovative model for boosting needs-based innovation in healthcare, tested with the HIVdigital competition. 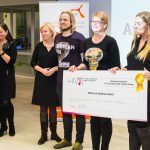 The competition HIVdigital was launched in the summer of 2016 by the Estonian health technology cluster Connected Health and GlaxoSmithKline Eesti OÜ (GSK) in order to find innovative digital solutions to the problems in the field of HIV that can be used in Estonia and exported to foreign markets. 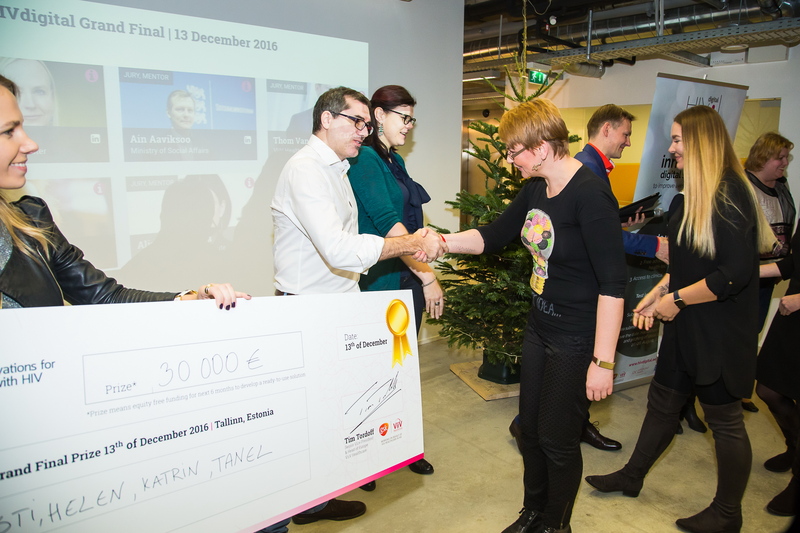 This innovation competition with its novel design was the first of its kind in the Estonian medical system. As far as the organisers are concerned, it is unique in the world, at least in the field of HIV. 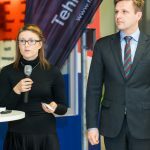 The competition consisted of three stages covering the entire innovation process from identifying needs to launching ready solutions on the market, and various parties were included in the process. Fourteen concepts were submitted to the competition. 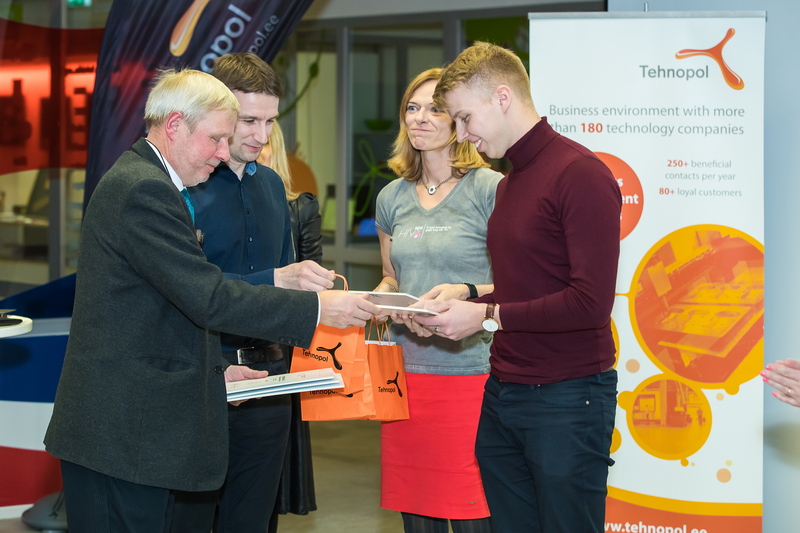 With the help of the prize fund of €100,000 and mentors from Tallinn Science Park Tehnopol, two of them reached the goal of becoming a usable solution. 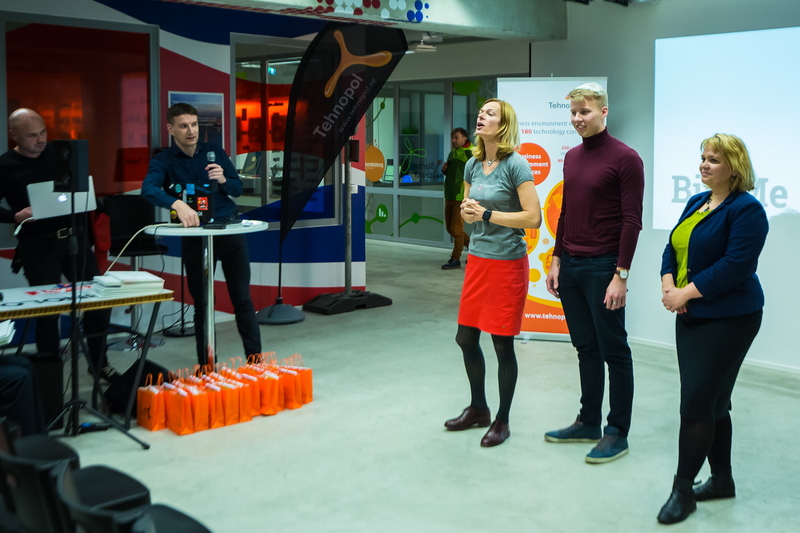 According to Sirje Kõuts, a representative of GSK Estonia, the competition is a good example of how a pharmaceutical company can contribute to society innovatively. “The HIVdigital project has boosted the creation of patient-centered solutions in the field of HIV with mutual cooperation of all stakeholders. 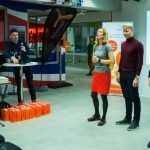 The development and enthusiasm of the teams gives me hope that these developed and applied solutions have a potential to be taken into use in Estonia and abroad,” Kõuts said. “According to a worldwide trend, global pharmaceutical companies tend to go beyond the pill and look at the environment more broadly. This also means that there is increased interest in contributing to digital solutions. 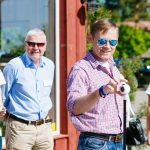 In Estonia, GSK is a trendsetter, and we hope that the positive experience of HIVdigital encourages others to follow the trend,” Kubo said. 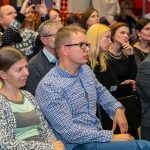 The cooperation partners of the competition are the Ministry of Social Affairs, the National Institute of Health Development, the Infectious Diseases Clinic of West Tallinn Central Hospital, the Linda Clinic and the AIDS Healthcare Foundation. The competition was financed by ViiV Healthcare via the global Positive Partnerships Program. “Solutions that allow digital consultations with doctors promote patient independence and strongly focus on prevention. 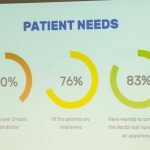 Empowered patients, in control of their health, could make the right choices to improve treatment outcome, and in the long run minimize avoidable medical service use,” says Paula Kink, CEO and co-founder of hINF. Digital appointments are an important step towards modernizing the care provided to patients with chronic conditions. In addition to making digital appointments, patients can use hINF to get an overview of their health status. Test results are presented on self-educating graphs where the red zone stands for bad and the green zone for good results. Contrary to a telephone or face-to-face consultation, hINF helps make sure that patients remember what doctors have told them, or alternatively, they can revisit their digital appointment and test results at any time. “The mobile application also provides patients with an overview of their antiretroviral treatment,” says Kink. The system includes a smart notification center, which sends alert messages as to when patients need to make appointments, take their medication, or pick up refills. 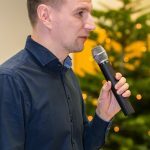 In Estonia, HIV positive patients receive their antiretroviral treatment from a clinic, not a pharmacy, every 1 to 4 months, depending on the patients’ adherence. 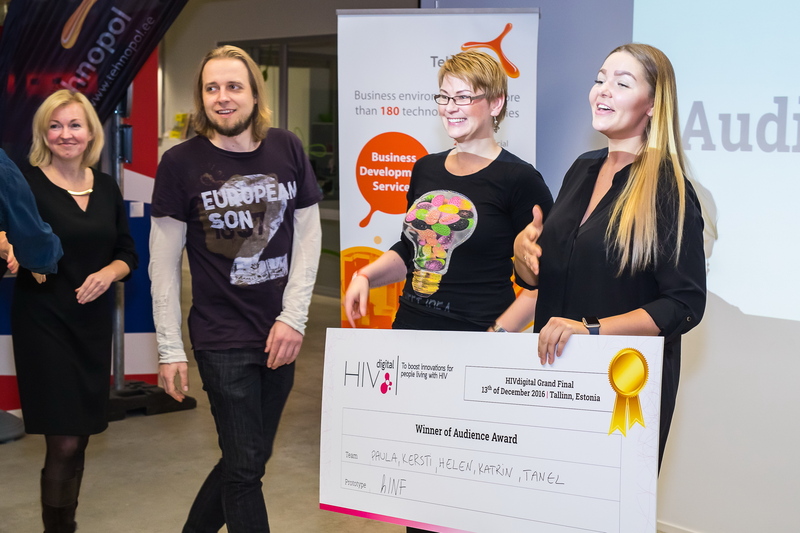 The idea behind hINF was born at the HIVdigital hackathon, which took place in Tallinn, August 2016. 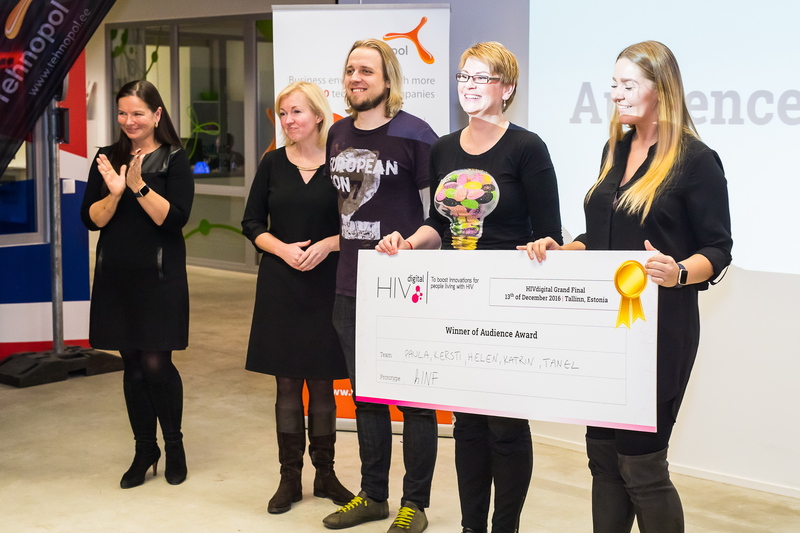 The hackathon was organized to come up with digital solutions that would simplify the life of HIV positive patients and improve their treatment adherence. 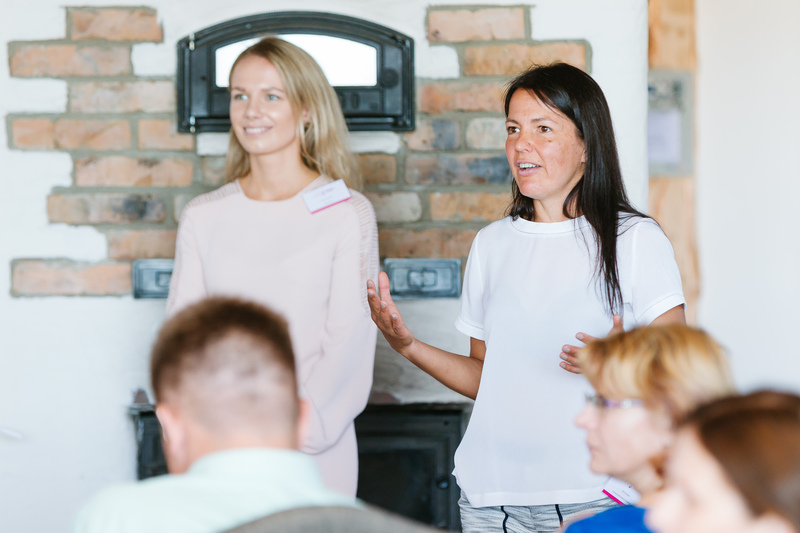 The hINF team, including MD Kersti Kink, Paula Kink, Tanel Teemusk, Katrin Charles, and MD Helen Mülle, participated in the event. The app’s initial version will be launched in June 2017. By then, the digital appointment functionality as well as that of accessing one’s lab results will be ready. What is more, it is planned to integrate the app with hospitals’ registration desks so that in addition to making digital appointments, patients could book routine visits to the doctor’s office as well. Long-term plans include connecting the app to hospitals’ health information systems, which means that doctors could send and receive necessary data through the electronic health record system during a digital appointment – and with just a few clicks at that. This would make for faster, easier and securer information transfer. According to Kink, the overall goal of the app is to revolutionize certain routine medical practices, because the existing system is outdated and inconvenient for patients with chronic conditions and their care teams. In addition, the current system is very time-consuming and costly. 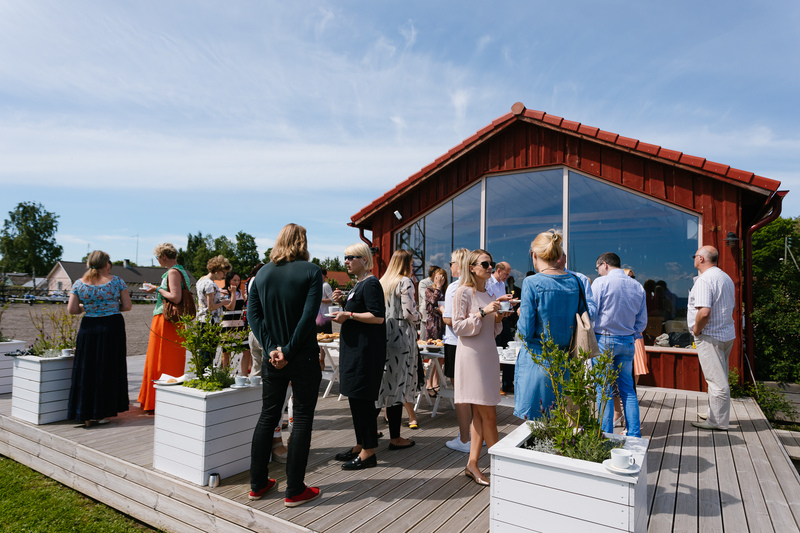 “Eliminating the need for visiting the clinic at least a couple of times per patient within a year, helps save time and money for all of the parties included in the system of managing a patient with chronic disease,” says Kink. 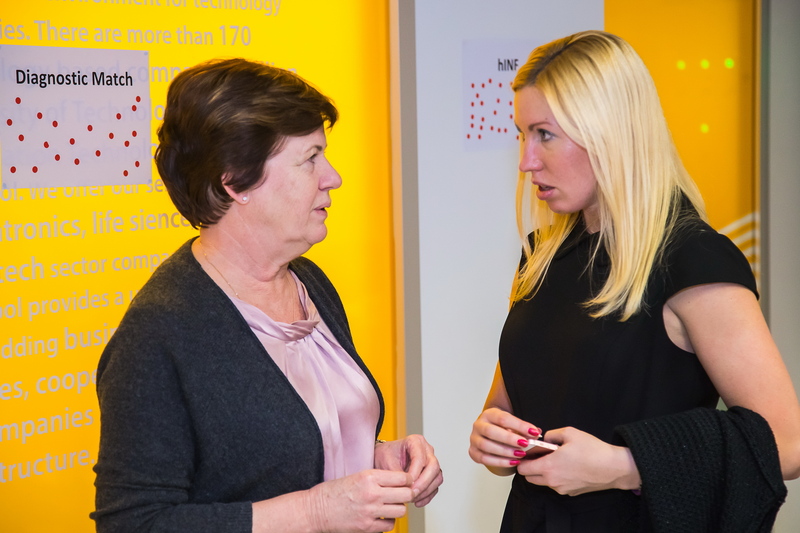 Grete Kikas, CEO of Diagnostic Match: We make the solution operational by June! 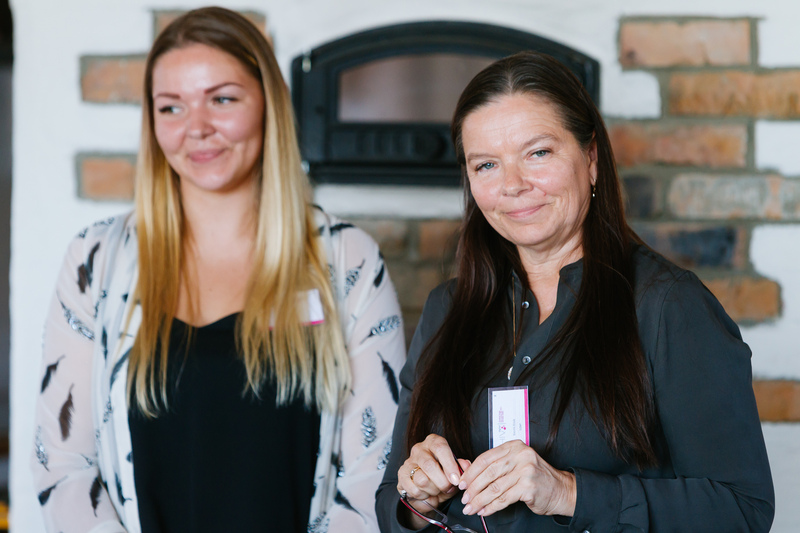 “The solution consists of a digital decision-making platform that helps find HIV-positive patients through indicator diseases,” says Diagnostic Match CEO Grete Kikas in introducing the idea. The system looks for illnesses that are co-morbid with HIV, such as hepatitis B and C, herpes zoster, fungal infections, recurrent lung infections, tuberculosis and others, and helps general practitioners to make the decision on whom to test for HIV. 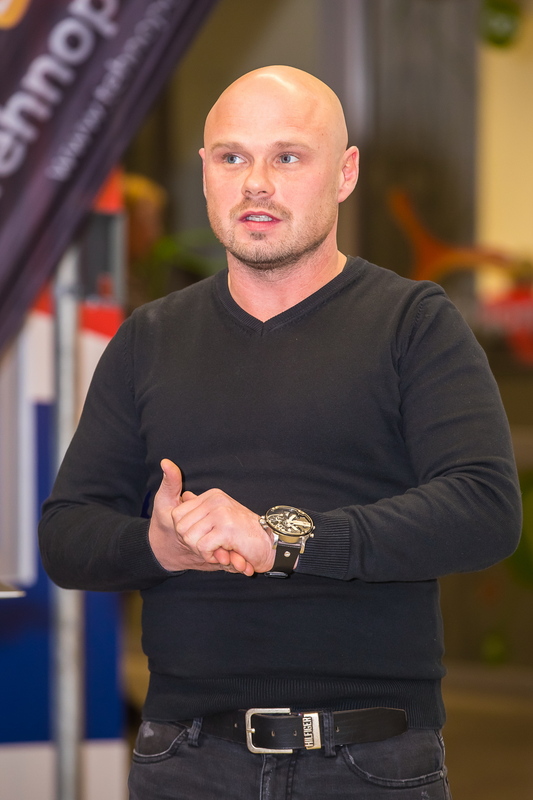 At the moment, a solution is being developed for the Estonian market. 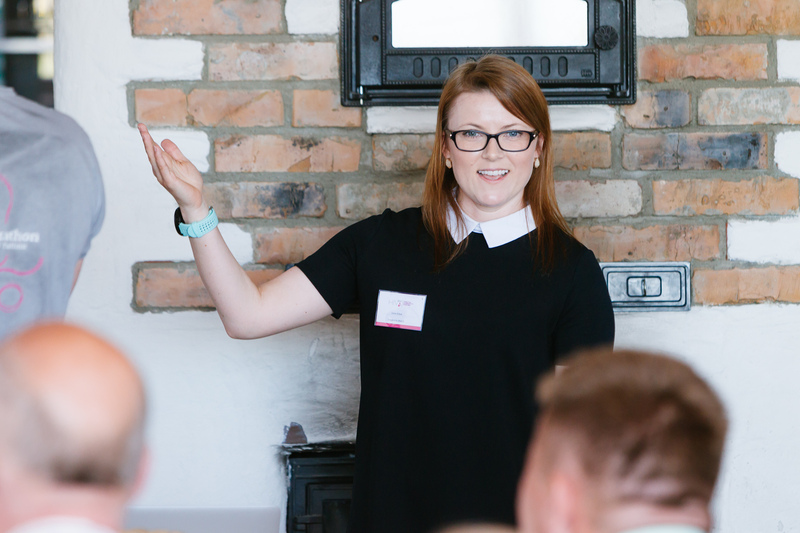 “We started with GPs, but we’ve got to the point that there’s actually demand for the product from other healthcare workers and specialities. When a person has dealings with the healthcare system, the given doctor, nurse, occupational health physician, or gynecologist should already see a notification if a patient has been diagnosed with specific indicator conditions and the treatment guidelines recommend that HIV testing be considered. 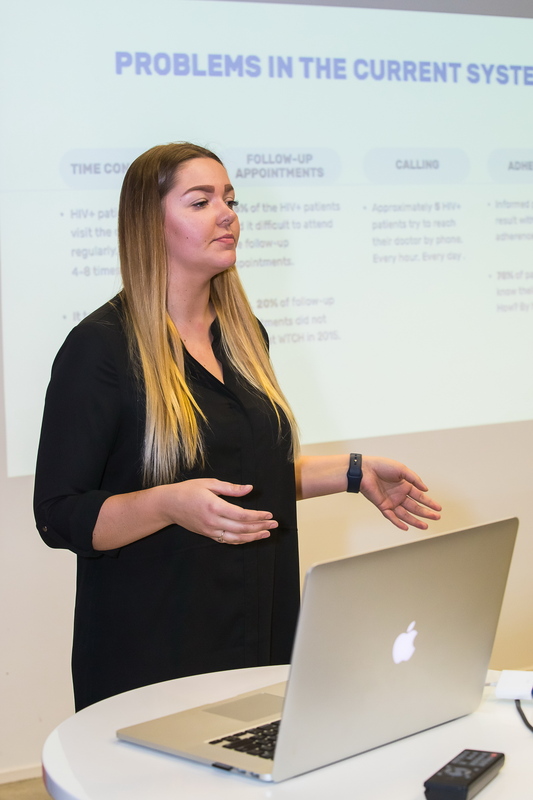 We’ve talked with professional associations a great deal and they, too, see that they need this tool and HIV testing reminders based on previous diagnoses,” says Kikas. 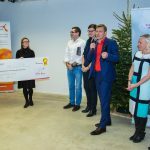 With the support of GlaxoSmithKline Estonia (GSK Estonia), a competition was held in Estonia to target HIV problems through innovative digital solutions. 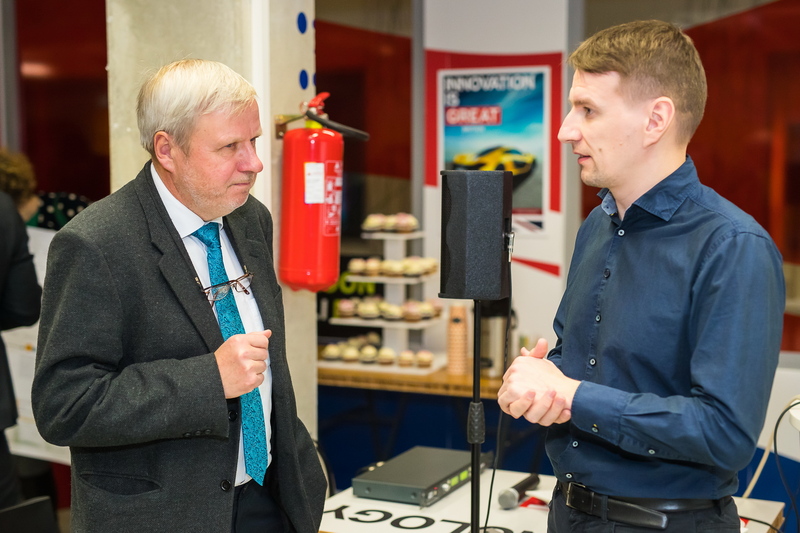 The project has successfully reached its final stages and will hopefully help launch digital solutions that can be used in Estonia as well as elsewhere. 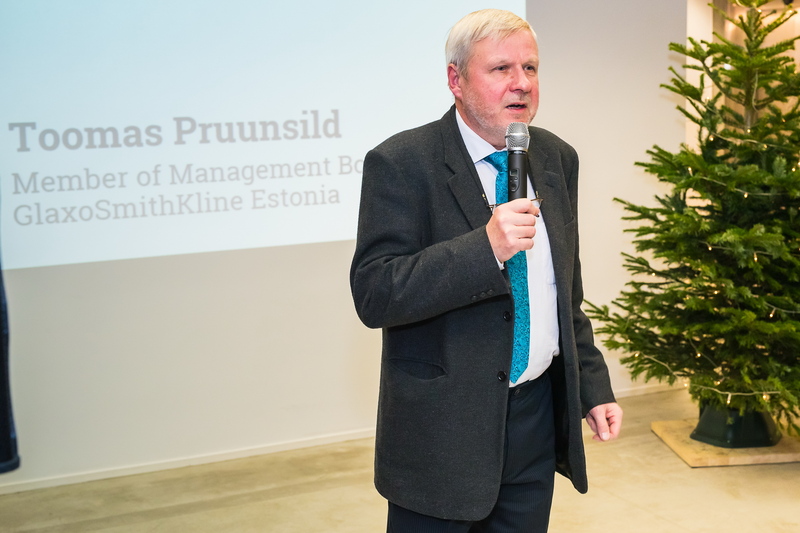 Toomas Pruunsild from GSK Estonia points out that the pharmaceutical industry is among the most innovative industries and in order to be successful, companies need to keep up with the digital world. 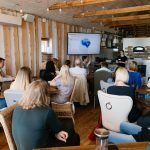 “For us, it is only natural to look for digital solutions in drug development, including conducting clinical trials, as well as marketing, pharmacovigilance and other areas. In the global pharmaceutical industry, this process works on several levels: companies actively explore and look for innovative solutions, and make decisions as to which solutions merit further development in their specific context. 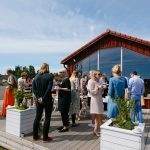 A large corporation typically consists of a number of sub-units: for example, GSK Estonia is operating under the Nordic Cluster as Baltic organisation with a multichannel team specialising in digital marketing and launching several marketing channels. At the country level, we cooperate with our technological partners regarding certain therapy options, for example, to develop digital solutions for patients,” he explains. 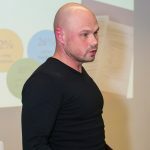 Discussing the project in greater detail, Mr. Pruunsild says that good timing was one of the keys to the success: “Some time ago, we decided to join the Connected Health cluster because it is an excellent platform for being in close proximity to the formation and development of new ideas. It happened to be that at the same time ViiV Healthcare announced a global call for projects under the Positive Partnership programme to deliver new solutions for HIV management. 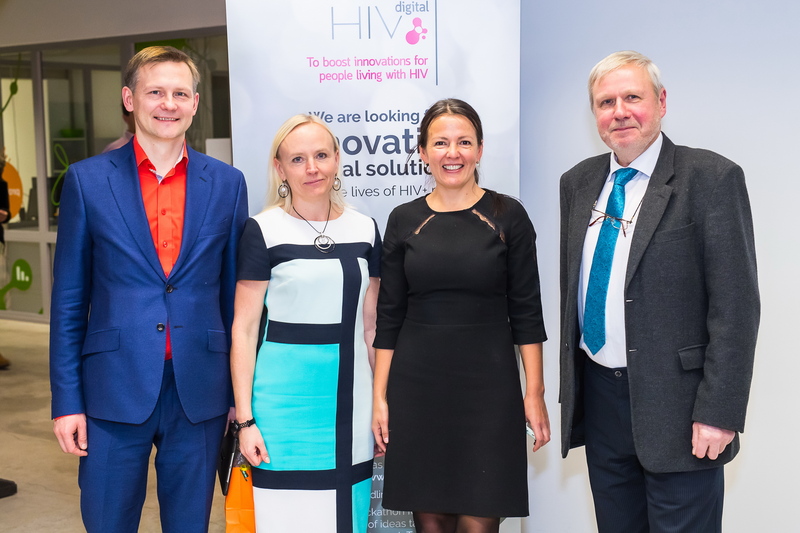 Our joint project with the Connected Health cluster proved to be a successful one – it came first at the global call for proposals, which means we received top support by ViiV’s central innovation unit to co-develop vital digital solutions, working together with tech specialists, doctors and others involved in the sphere of HIV,” Pruunsild explains. 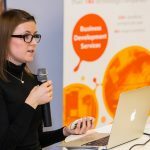 “As I see it, everything that has been achieved as a result of the joint effort of project parties, from situation mapping to developing solutions is a glaring example of positive partnership which was globally expected from this kind of project. 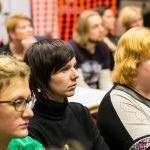 The highly active approach of participants in the HIVdigital project and the media attention received also brought more focus to the topic of HIV, on the decision-making as well as on the political level. Our launch of new, better digital solutions in HIV care has generated more interest within the corporation with HIVdigital’s competition. 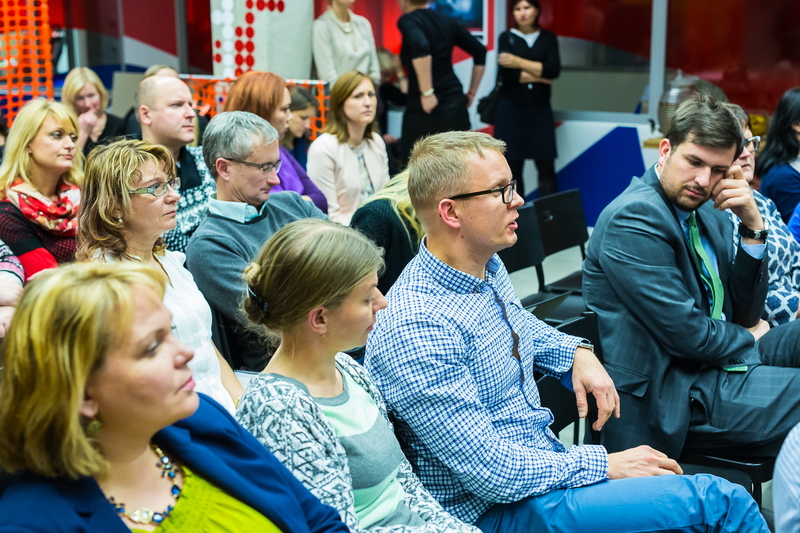 For example, in Latvia, Lithuania and in the Nordic countries in general we can also spread information about potential digital solutions through our networks. 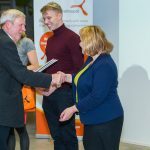 Such success would have been impossible without the contribution and support of the Connected Health cluster – the entire concept was based on synergy,” he adds. 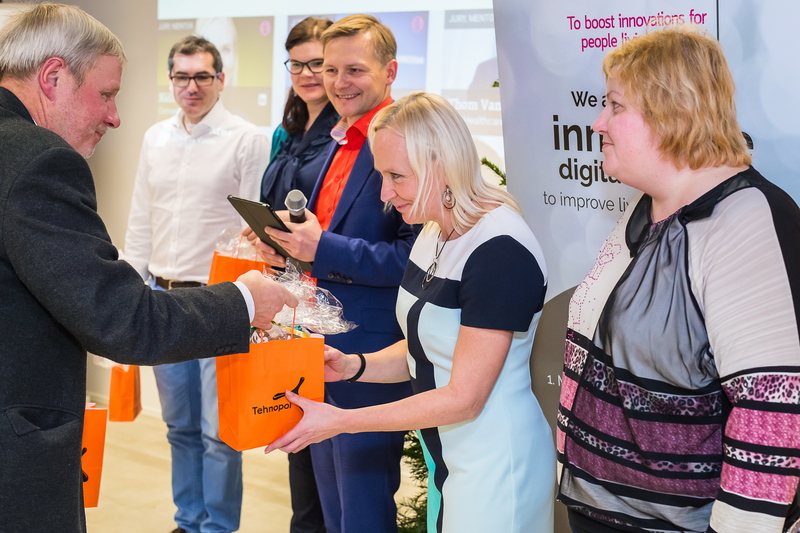 Positive experience gained from the HIVdigital project has encouraged GSK Estonia to implement similar solutions also in other fields. 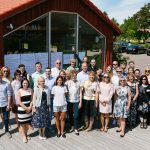 The company is caring about major healthcare issues that present a serious challenge in Estonia. 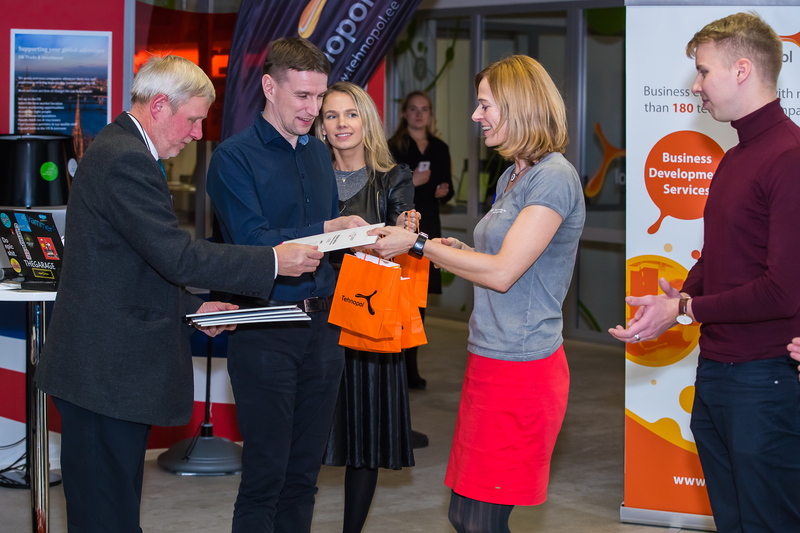 Currently, GSK Estonia has turned its attention to respiratory diseases – although there are already many applications and solutions available, there is still a chance to come up with something new and relevant. “We are discussing possible solutions and cooperation platforms. 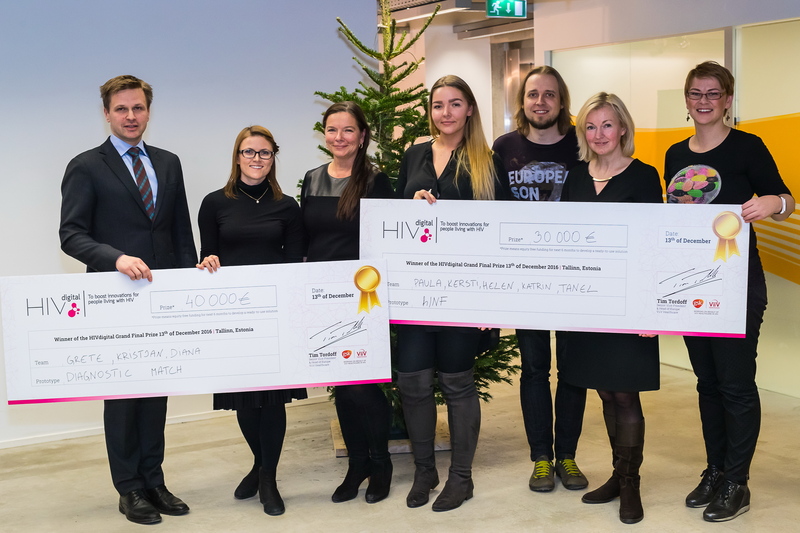 On 13 December the winners of HIVdigital competition were announced. 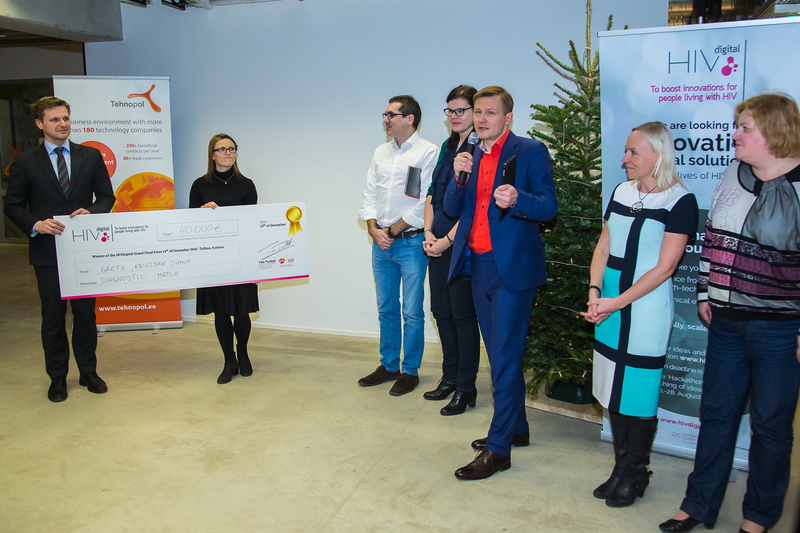 The jury of experts named the decision support platform Diagnostic Match developed in cooperation with the Estonian Society of Family Doctors the winner of the first place. 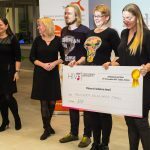 The second place winner and the favourite of the audience was the mobile application hINF developed based on the practical needs of doctors and HIV-positive patients of the Infectious Diseases Clinic of West Tallinn Central Hospital. 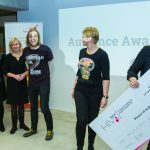 The winners shared 70 000 Euros in prize money. 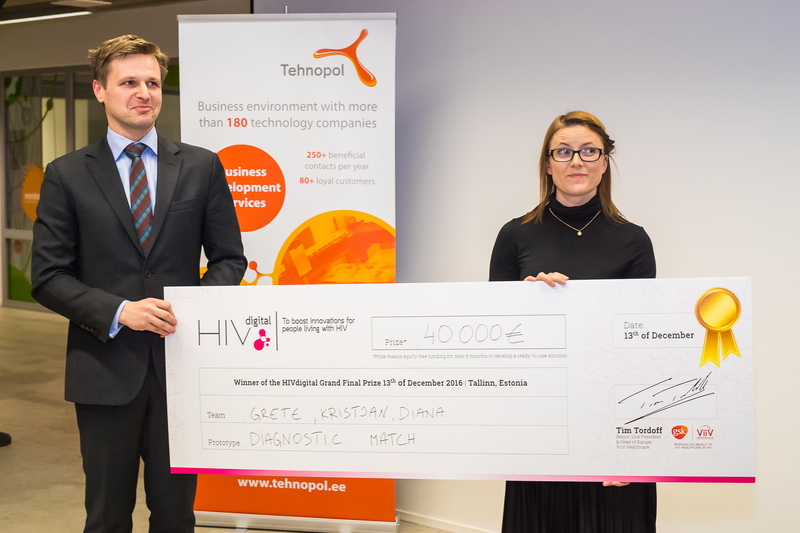 According to the words of Grete Kikas, project manager of Diagnostic Match, which was awarded 40 000 Euros, last three months were spent for developing a prototype based on the idea. 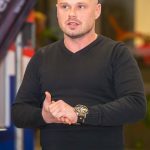 „Thanks to excellent synergy and commitment of the team and cooperation partners, our idea has reached the phase, where we could present a really functioning prototype. In three months we have digitalised more than 400 diagnostic codes of HIV indicator diseases and created really functioning algorithms based on clinical treatment guides, which help to make HIV testing on basic level more purpose-oriented. We have cooperated with several medical specialists for validating the algorithms. We also conducted a pilot study in three centres of general practitioners, where 120 patients were tested based on their indicator diseases. 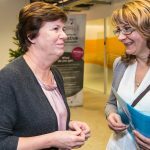 In coming months we will improve the prototype and increase the number of centres of general practitioners participating in pilot projects,“ said Kikas. Diagnostic Match is a decision support platform to help general practitioners to detect hidden HIV-positive patients with indicator diseases to achieve targeted HIV testing. 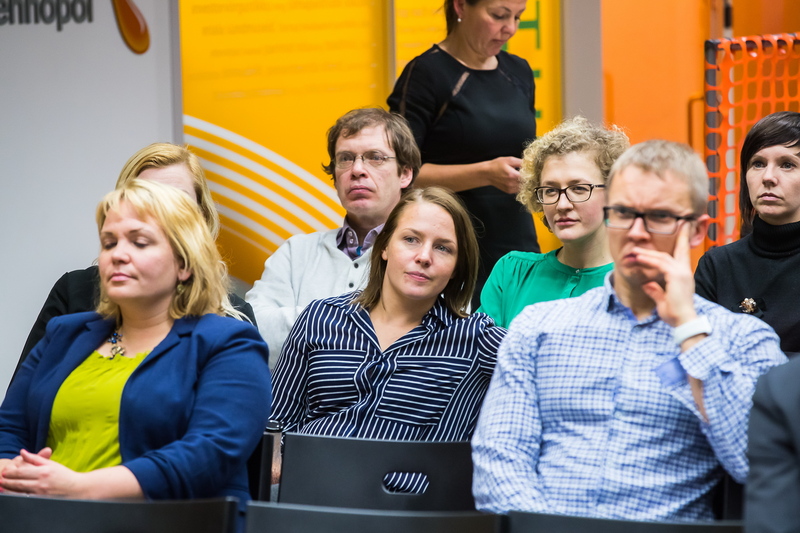 The idea of Diagnostic Match originates from the Estonian Society of Family Doctors, who were also the cooperation partner for developing the solution. 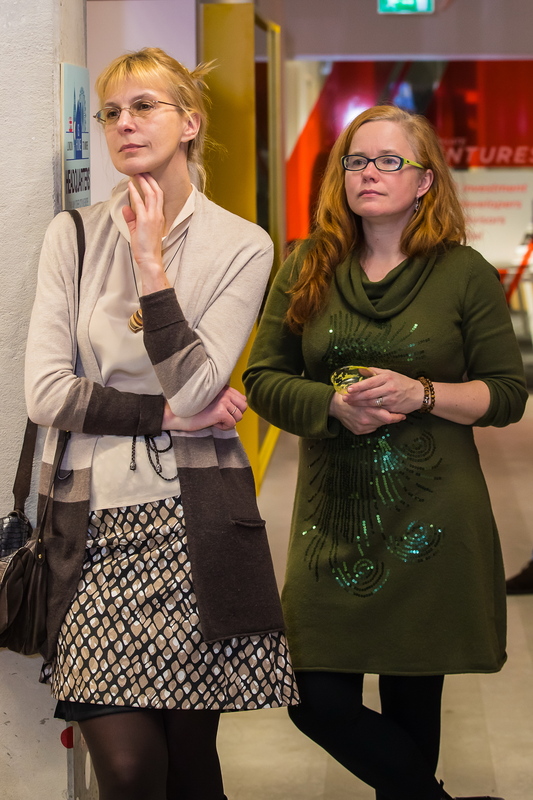 The team includes Grete Kikas, Kristjan Krass and Dr Diana Ingerainen. 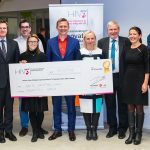 hINF, which was awarded 30 000 Euros, is a secure digital health solution, which eases the communication between HIV-positive patients and their medical doctors. 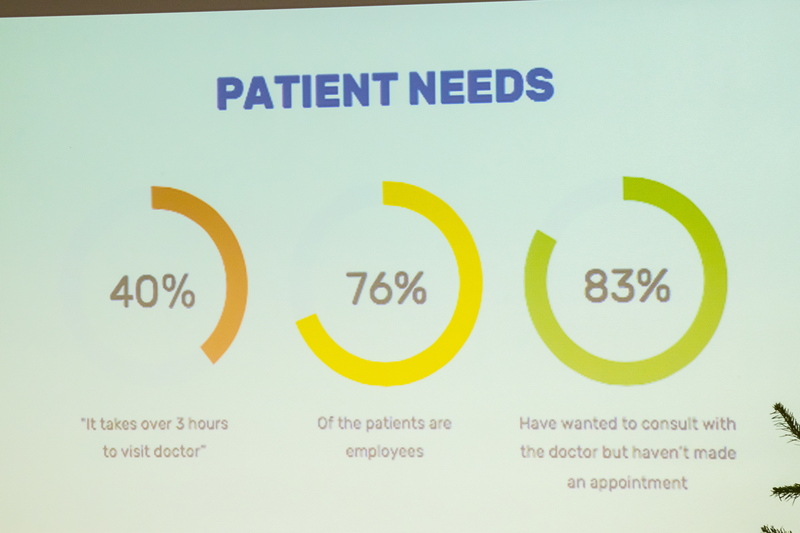 hINF gives the patient an overview of her/his health and treatment outcome, allows the patient to chat with his/her doctor, book (digital) appointment and find a support person. 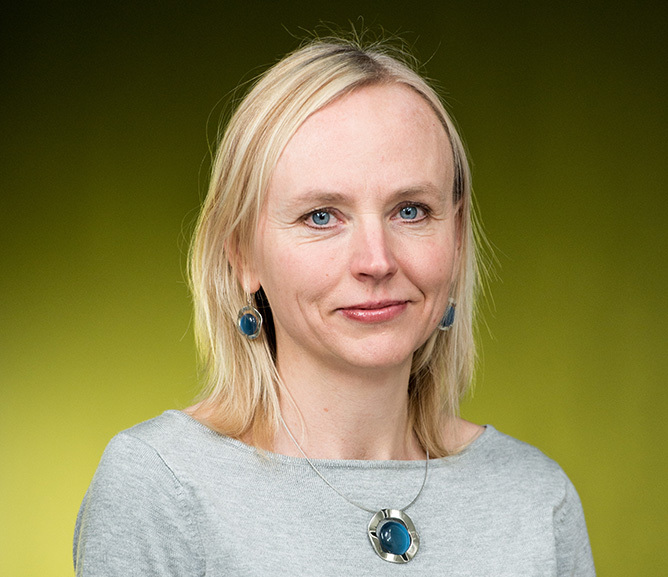 The team includes Paula Kink, Dr Kersti Kink, Dr Helen Mülle, Katrin Charles and Tanel Teemusk. 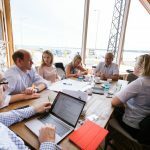 „In case of both winning teams it is worth mentioning that practising clinicians exited from their daily working routine and developed new user-centred solutions together with technology people. 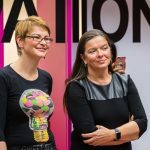 Such co-creation is a sound basis for innovation – we hope that it will continue,“ said Ain Aaviksoo, member of the panel and the Deputy Secretary General for E-services and Innovation at the Ministry of Social Affairs. „The decisive factor for declaring Diagnostic Match the winner was the fact that in three months they were able to complete a functioning prototype and test it in real working environment,” he added. 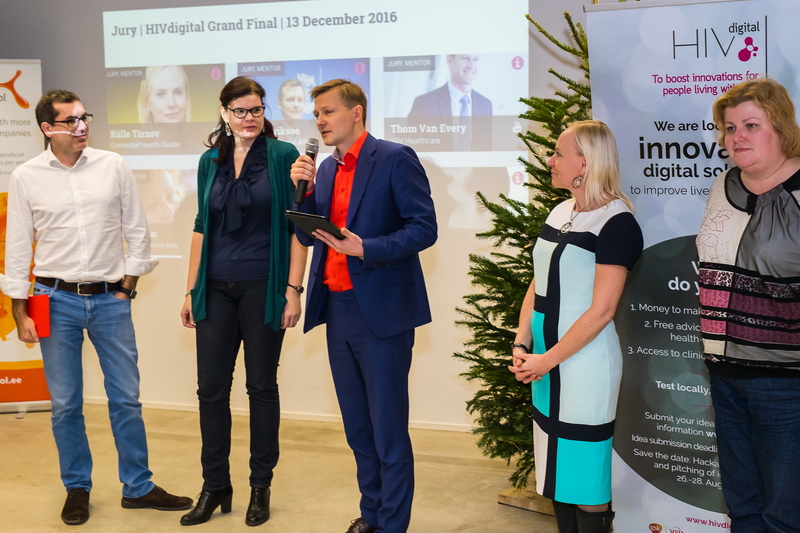 Five HIVdigital finalists presented their prototypes at the HIVdigital Grand Final; the winners were selected by a jury of experts. 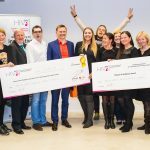 Two winning teams shared 70 000 Euros, in sums 40 000 and 30 000. 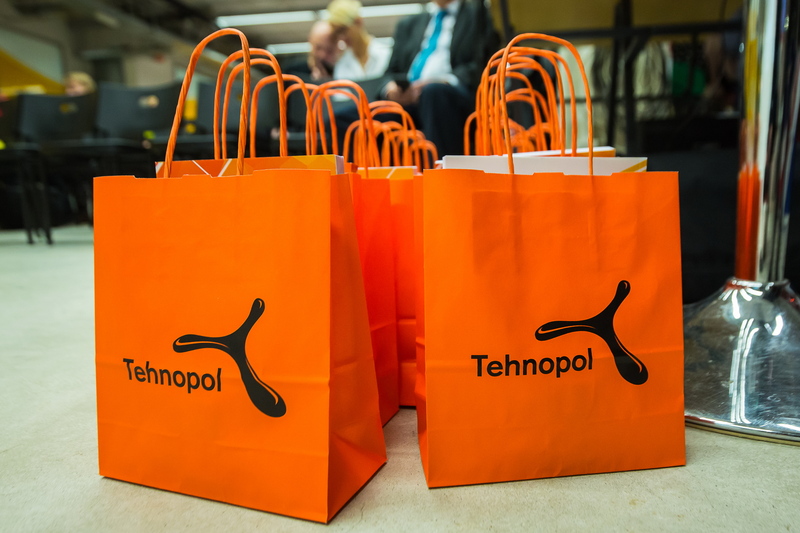 In addition to the cash prize, Tehnopol offers a free access to the Startup Incubation Program. 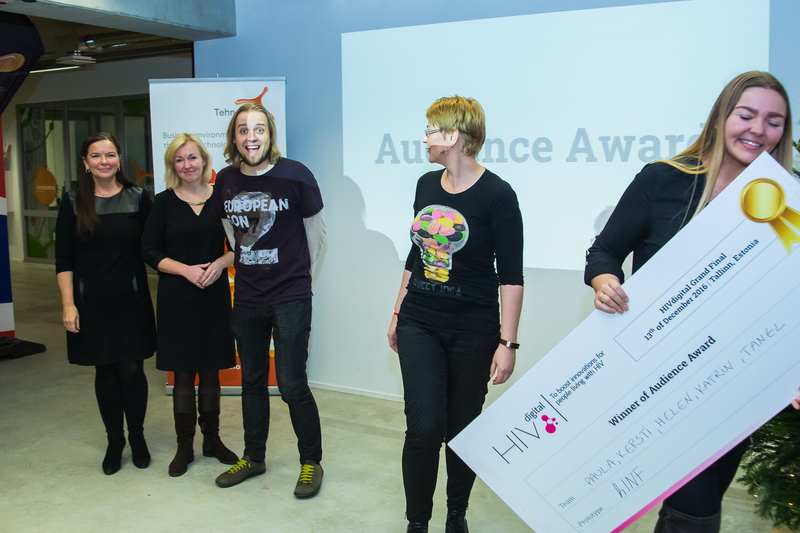 HIVdigital organisers expect the winners to turn the prototypes into ready-to-use solutions in next 6 months. 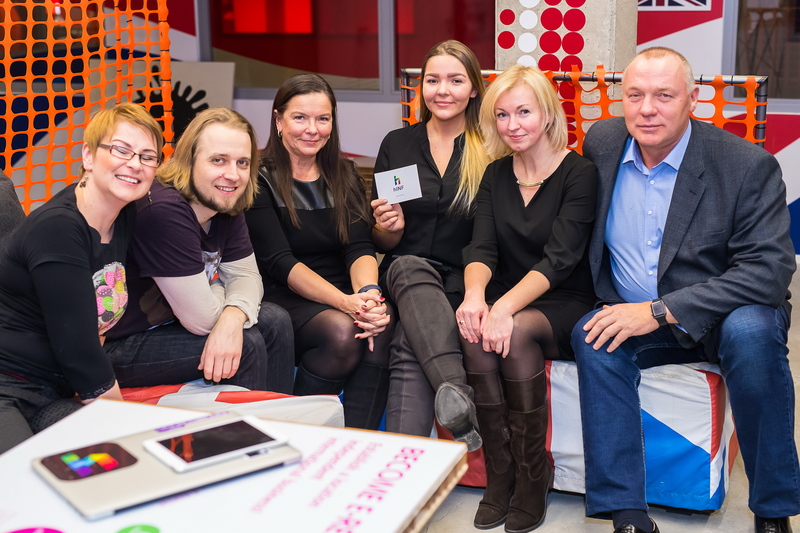 Organisers of the competition plan to present the solutions in June 2017. 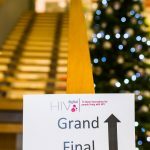 „We expect the winning teams to continue the development in next six months to turn the prototype into usable and useful product, which success is ensured by sustainable revenue model and capable team,” said Kitty Kubo, an organiser of the HIVdigital competition and innovation manager of the health technology cluster Connected Health. 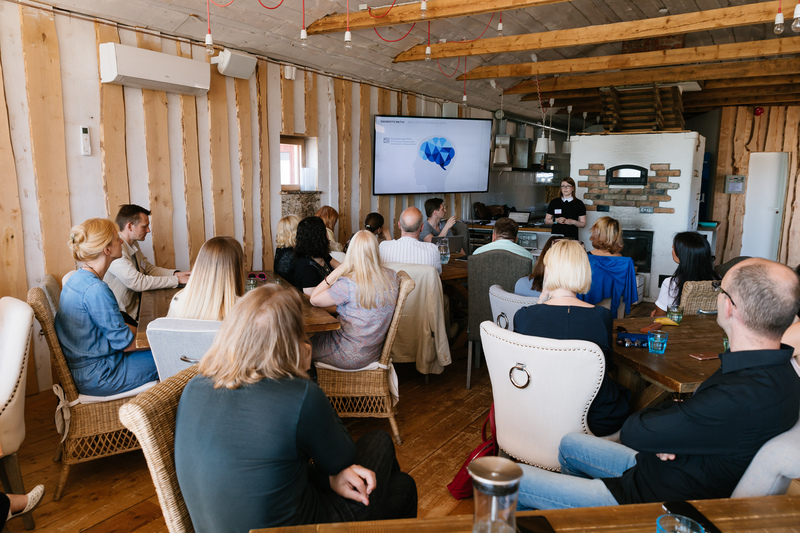 Estonian doctors and HIV patients are working together to create the first digital solution enabling digital doctor’s appointments which will help save time and money for everyone involved and simplify the lives of people living with HIV. Patients’ analyses are considered sensitive personal data that cannot be sent by post or email. The new solution uses several measures to ensure the protection of patient data. Information is only visible to two parties: the doctor and the patient. Accounts are created using a unique RL-HIV code that functions as the patient’s anonymous identification number. Patients can only create an account once their doctor has approved it. 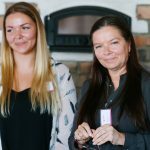 What do the team behind the idea come up with? 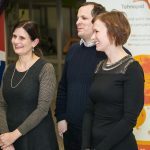 Work is underway to build a mobile and online application that will make long-discussed digital appointments a reality. Patients can make an appointment using the app and choose whether they would prefer a digital or regular one. Digital appointments take place at the registered time. Patients can think their questions through in advance and write them down to ensure they get the most out of the appointment. One of the main purposes of digital appointments is to make the process of asking doctors questions quick and easy. They also serve to replace follow-up appointments. After the patient has provided samples for analysis, hINF books a new digital appointment so that the doctor can inform them of key test results and answer any questions. The second problem that the app seeks to address concerns patients who do not take medication on a regular basis. “Using the hINF app, patients can keep track of their results in an interactive diagram,” Paula Kink explained. “Gaps in treatment can cause the viral load to increase within a matter of weeks. That makes the patent a threat to themselves and their loved ones. The app has another important function, as it sends patients timely reminders when their medications are about to run out. Antiretroviral (ARV) drugs are prescribed on average for three months. That is more than time enough to forget when supplies need to be renewed. 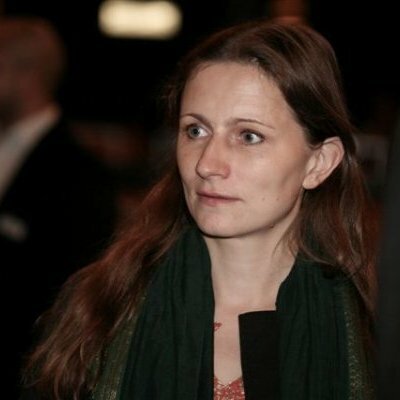 “UNAIDS, the international AIDS organisation, set the target of 90/90/90 to help end the AIDS epidemic,” said Kersti Kink. “That means that 90% of people with HIV are aware of their diagnosis, 90% of those infected are receiving treatment and 90% of HIV patients receiving therapy have achieved viral suppression and are no longer infectious. 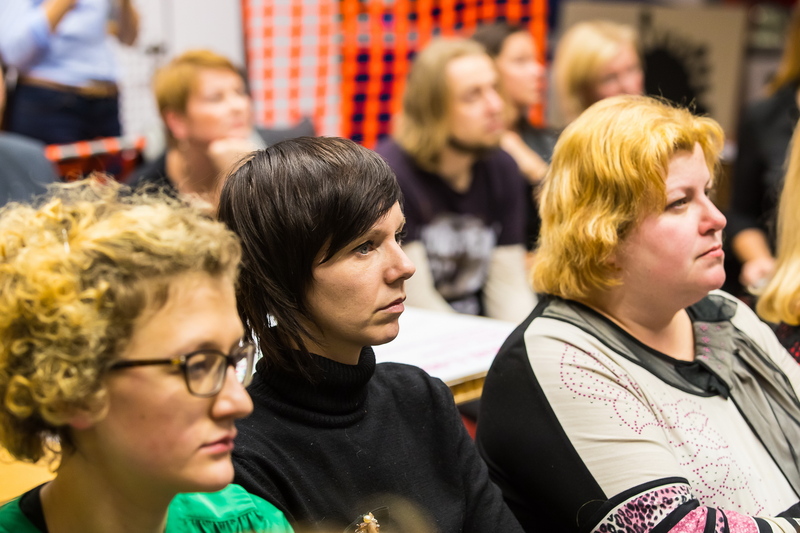 There are currently 25 doctors in Estonia working with HIV patients. 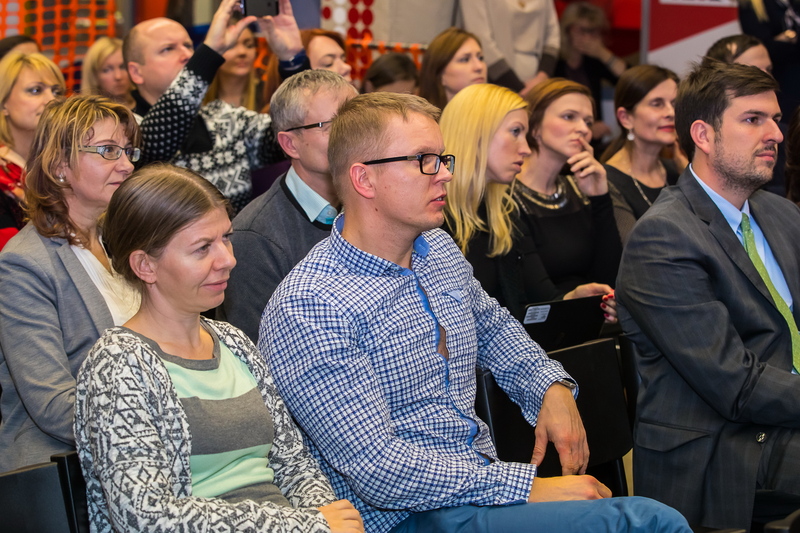 The highest concentration of persons living with HIV is at West Tallinn Central Hospital. 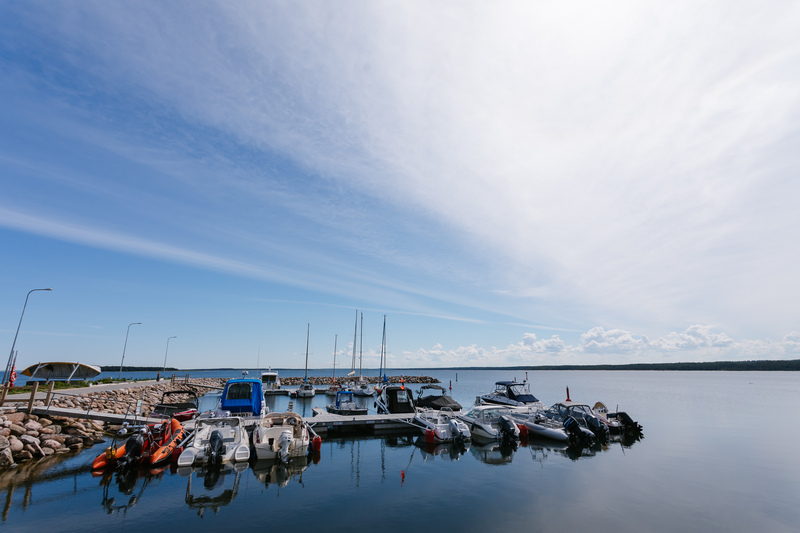 There are over 5000 HIV patients under observation in clinics around Estonia. 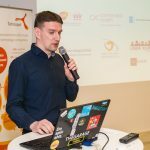 The HIVdigital Hackathon that took place from Friday evening until Sunday evening at Tallinn Science Park Tehnopol brought together more than 80 digital health solution developers and HIV subject matter experts. 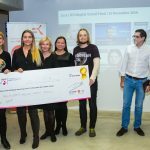 The jury declared the digital solution ideas of LiveHIV, DigiScreen and hINF as the winners of the 48-hour development marathon. 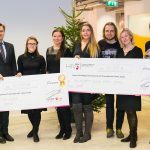 The prize fund of 30000 Euros for this stage of the competition was divided among the winners as 6000, 12000 and 12000 Euros, respectively. 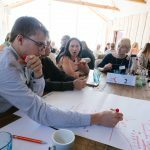 The financial award plus the coaching by Tehnopol mentors and HIV subject matter experts is aimed at developing the prototypes out of the ideas. The winner teams have three months for creating the prototypes. All winning ideas are aimed at solving the HIV-related problems, but from different angles. LiveHIV idea is to create an engaging permanent campaign in order to encourage healthy adults to test themselves on a regular basis and in case of the positive result to guide them to the necessary services. Since HIV-positives on treatment live their regular everyday life and do not infect other people, LiveHIV considers the main aim of their project to significantly impede the HIV infection among heterosexuals of over 35 years old. 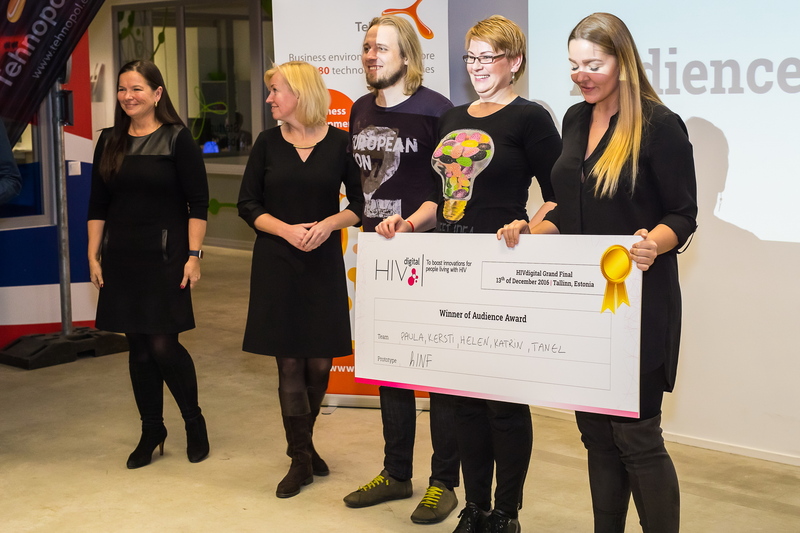 As an alternative for having a rapid test in the anonymous HIV testing service, LiveHIV.ee wishes to be also the first and most operative source where from the end of November people could receive information about the possibilities of home testing. DigiScreen wishes to automate finding HIV risk group. The IT-solution helps to filter the people belonging to the HIV risk group through other diseases in order to direct those people to take the test as early as possible. The system takes as the basis the diseases concurring with HIV, such as B and C hepatitis, zoster, fungal infections, recurring pneumonia, tuberculosis etc. and helps the GP and henceforth also other healthcare workers to decide about who needs to take the test. The aim of hINF solution is to use the mobile application to support the HIV-positive patients who correctly follow their treatment plan, by reducing the need for the ambulant treatment, which in turn will enable to pay more attention to more problematic and new patients. With the help of the mobile application it is also possible to find an experienced support person. The winners should develop the working prototype from the presented ideas by the end of this year. 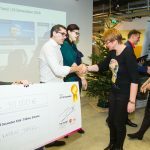 Then the jury will again make a decision for whom the prize fund of 70000 Euros at this stage of the competition will be divided for testing and implementing the final solution. 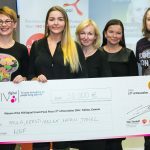 In addition to the financial prize, the award will include free expert advice from Tehnopol mentors and HIV-experts involved by the organizers. 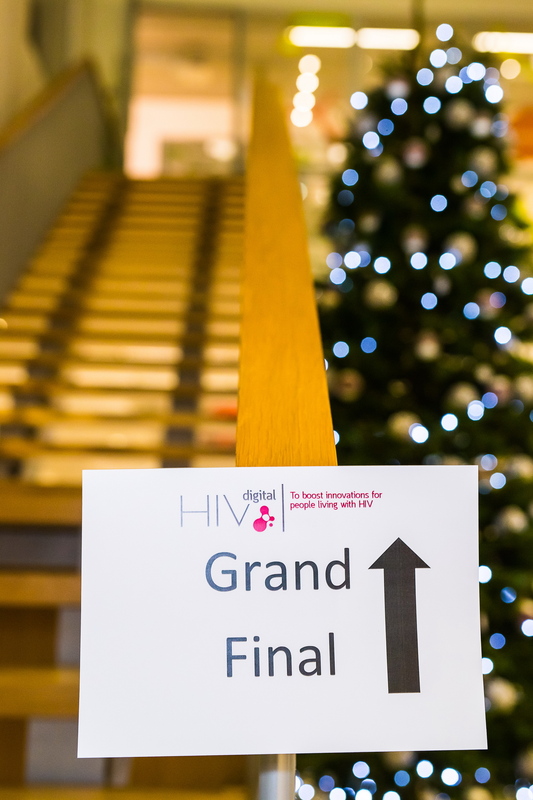 According to the knowledge of the organizers of the HIVdigital competition, the HIVdigital Hackathon is the first of its kind in the world dedicated to improving the lives of people living with HIV. “In case of sharp focus and engagement of all market players, the format of hackathon fits perfectly to boost the innovation in healthcare,” Kitty Kubo, the innovation manager of Connected Health Cluster made a comment about the experience from hackathon. 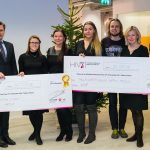 The HIVdigital competition received 14 digital health solution ideas for the deadline; all of these are targeted to solve the problems related to the field of HIV by using the IT. Organisers invite developers, designers and HIV subject matter experts to join the teams at the hackathon. “Considering the specificity of the topic and period of holidays, the number of received ideas is quite good. 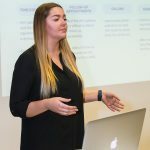 A particularly positive is the fact that the ideas were presented by the HIV experts and technology companies as well,“ Kitty Kubo, the innovation manager of Connected Health Cluster commented. The idea competition will culminate with the hackathon taking place in 26-28 August. This idea development marathon lasting the long weekend is aimed at forming the teams and the first prototyping of solutions. 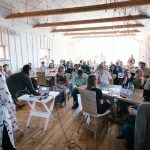 “In order the ideas could become real solutions the teams will need people who could implement it technologically and those for whom the solutions are developed, in other words the test users. Therefore we invite developers, engineers and designers to the hackathon to join the teams. HIV-positives, doctors, nurses and other future users of those solutions are encouraged to come along and provide their expertise to the teams, “Kitty Kubo added. 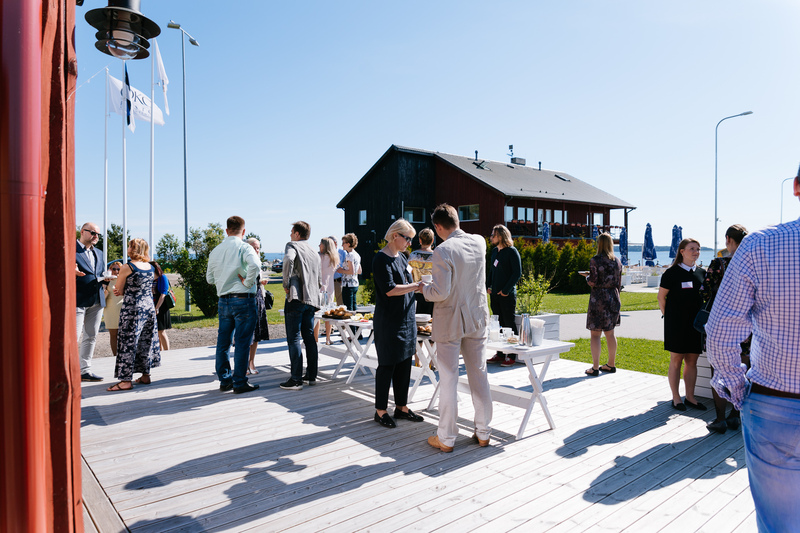 The registration to the hackathon is open until the midday of 25 August on the competition’s website www.hivdigital.ee. The number of places is limited and we prefer the candidates with the above mentioned background. The hackathon will end with the jury selecting the most promising ideas and making the decision about distributing the prize money. 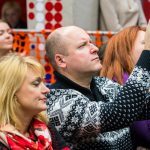 In the first round the prize fund will be up to 30 000 Euros. 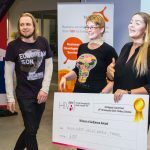 The financial prize is supplemented by free expert advice from the experienced mentors of Tehnopol and the experts of the field of HIV engaged by the competition organisers. 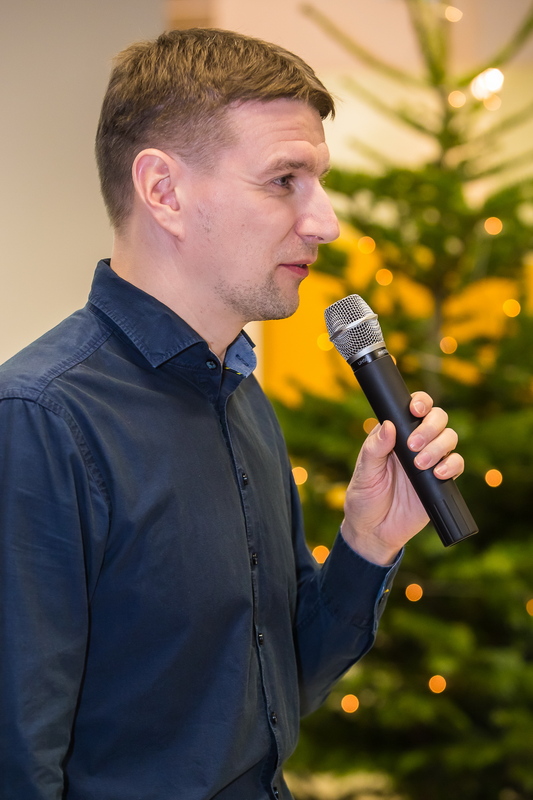 In this stage the prerequisite for receiving the prize is the solution developer’s confirmed wish to develop a prototype from the idea within the time limit of the competition. 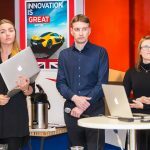 “During the hackathon we hope to validate the ideas and form capable and committed teams for those ideas. 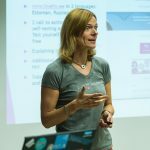 If two to three ideas presented prove to be worthy for the next development stage by the end of the hackathon, then we will be very pleased,” Kitty Kubo explained the expectations of the organisers. 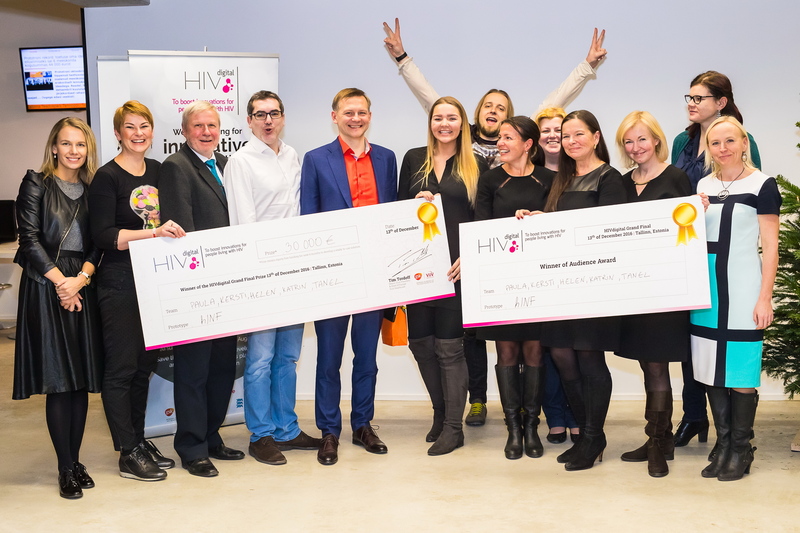 HIVdigital (hivdigital.ee) is a digital solution competition focussing on the problems related to HIV. Its aim is to initiate a discussion about the innovation possibilities regarding HIV, boost the development of innovative practical ideas and support the development of the best ideas into the ready-made solutions. 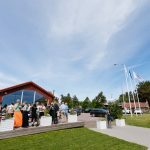 The possibility to present ideas for solution to the competition was open from 14 August until 14 August. The competition prize fund is 100 000 Euros in total. 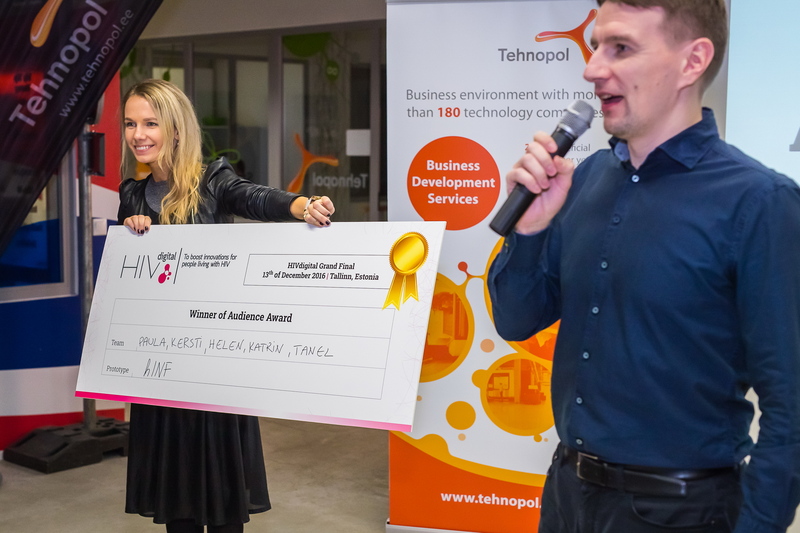 The competition organisers are Estonian health technology cluster Connected Health managed by the SA Tallinn Science Park Tehnopol and GlaxoSmithKline Eesti OÜ. The partners are the Ministry of Social Affairs, Linda Kliinik and AIDS Healthcare Foundation. The competition is financed by ViiV Healthcare through the Positive Partnerships program. 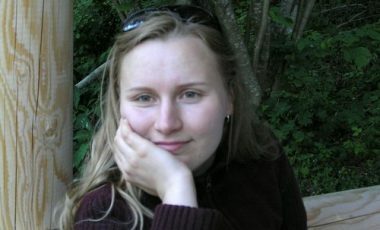 According to the service designer Maarja Mõtus who introduced four problems related to the field of HIV at the launch event aimed at the developers of HIVdigital competition every infectious disease nurse dreams about that they could provide nursing care services instead of being simultaneously a secretary, logistician and pharmacist. The patients’ awareness is, however, impaired by the ineffectiveness of communicating information. “The health behaviour of every HIV-positive person has an impact on whether the spread of the virus continues or stops. This how good is the health behaviour of HIV-positive people depends on their awareness. In addition to observing the health status and prescribing medication, the specialist does not always have time to have a deep health educational conversation with every person. 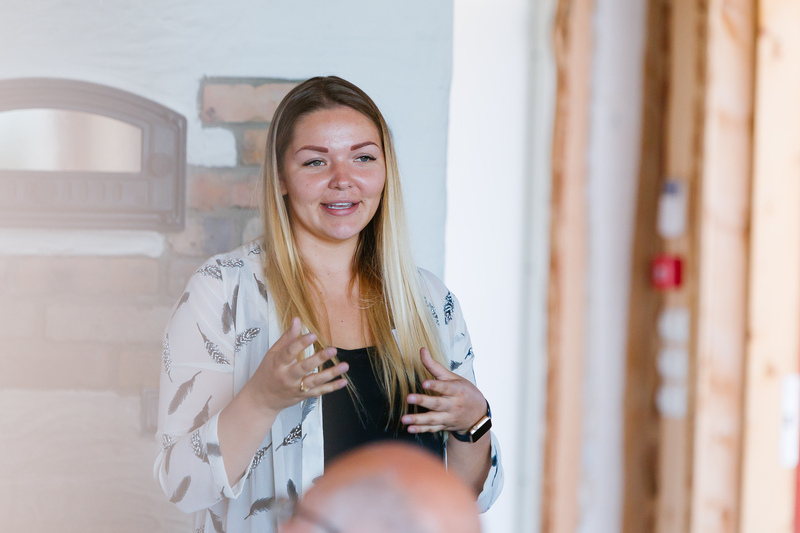 For half of the working time, the infectious disease nurse has to work with prescribing the medications and preparing the corresponding documentation and reports which leaves them less time to the direct communication with the patient, “the service designer Maarja Mõtus explained. 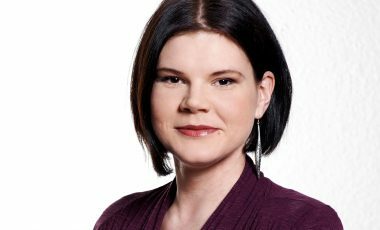 “There are people with different backgrounds among HIV-positives – the people carrying viruses are from all society layers and preparing a complete and suitable information material for all of them is complicated, “Maarja Mõtus explained. “ Main problems that could be solved with new digital applications begin with the fact that today the information is communicated ineffectively to people. For instance, there are information brochures but the info in them is aging fast. 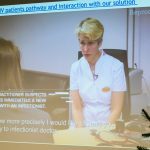 “The vision could include high knowledge of all HIV+ people about their disease and the specificity of the treatment and this awareness could affect positively the adherence to treatment. 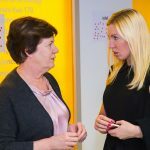 This means that the health care worker should be able to share information and guidelines to patients personally, based on their profile, the information should be clear, attractive, easy to remember and access without depending on time and place,” she added. The participants to the competition are expected deliver solution ideas to four HIV-related challenges. First of them is a need to make the disease-related information accessible to HIV-positive people in a clear and memorable way. Second challenge involves the need to provide support and counselling to patients in a suitable way for them. Also, solutions to improve the cooperation and information exchange between the treatment and support teams, which could help to observe completely the people health, are searched for. The fourth challenge is a need to raise the motivation of the patients with poor adherence to treatment to monitor their health and follow the prescribed treatment. The challenges were mapped with the help of the parties working in the field of HIV based on the needs of HIV-positive people and the health care workers working directly with them. 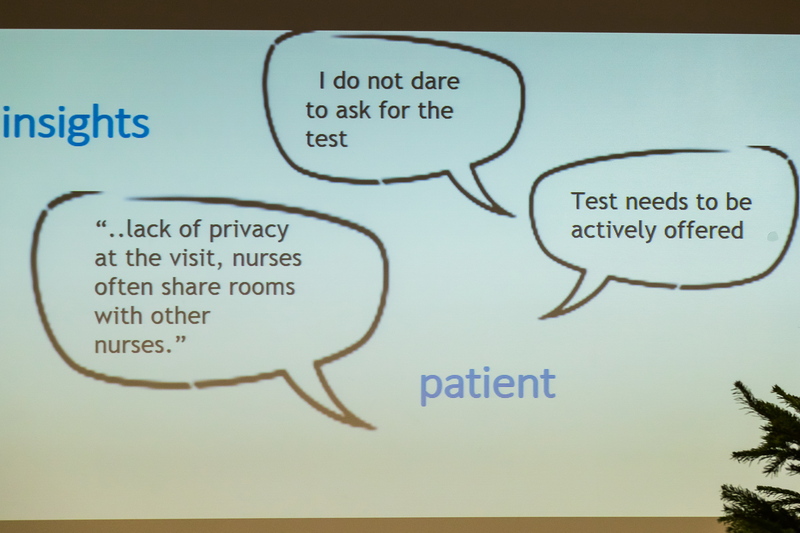 Additionally, the patients themselves helped to map the needs that gives confidence that these are realistic needs. The solutions can be presented until 14 August (incl.) via the website hivdigital.ee. 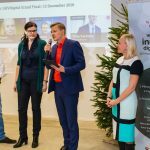 The 100000 Euros award fund of the competition to develop digital solutions will be handed out in two stages. 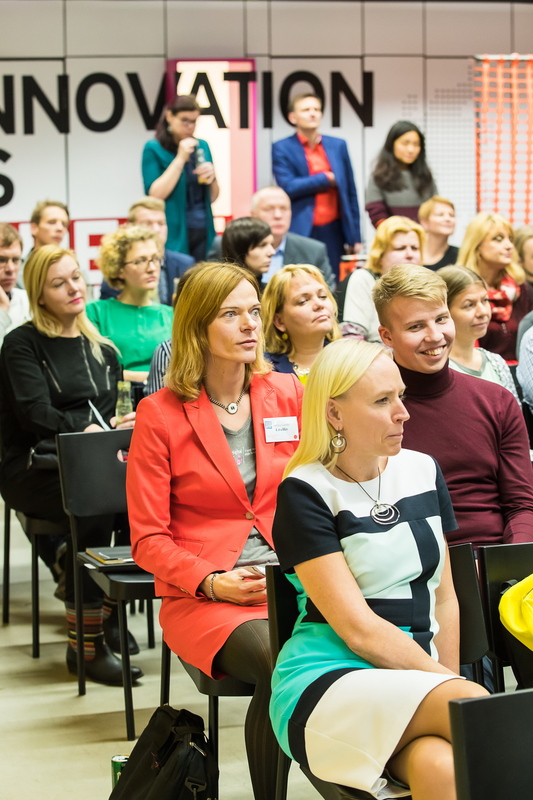 The idea competition will culminate with the HIVdigital hackathon taking place in Tallinn in 26.-28. August where 30000 Euros meant for prototyping the solutions will be distributed among the best ones. In December 2016 the best or the best ones in turn will be chosen from the prototypes, to which up to 70000 Euros will be granted for testing and developing their ready-made solutions. The project HIVdigital is searching for new ideas to develop digital solutions that could improve the welfare of HIV positive people. 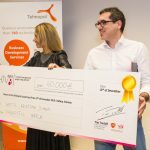 The award fund of the idea competition is 100000 Euros. Main challenges within which the solutions are looked for the problems described, were screened with the parties involved in the HIV field. 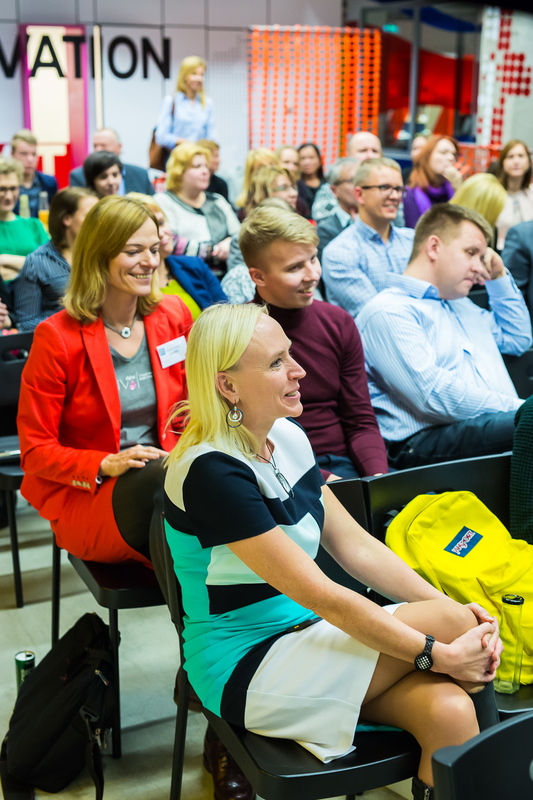 The ideas can be presented through the website www.hivdigital.ee within the following two months up to 14 August 2016 (incl.). The 100000 Euros award fund of the competition will be handed out in two stages. 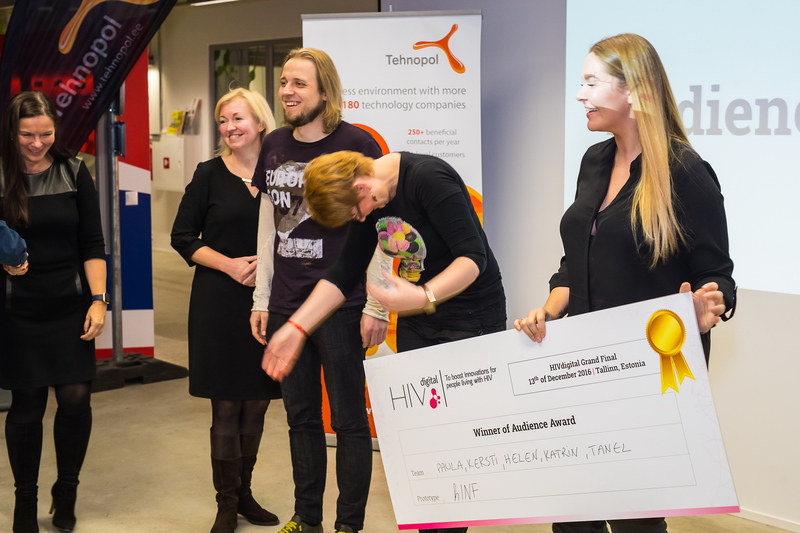 The idea competition will culminate with the HIVdigital hackathon taking place in Tallinn in 26.-28. August where 30000 Euros meant for prototyping the solutions will be distributed among the best ones. 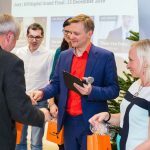 In December 2016 the best or the best ones will in turn be chosen from the prototypes, to which up to 70000 Euros will be granted for testing and developing their ready-made solutions. 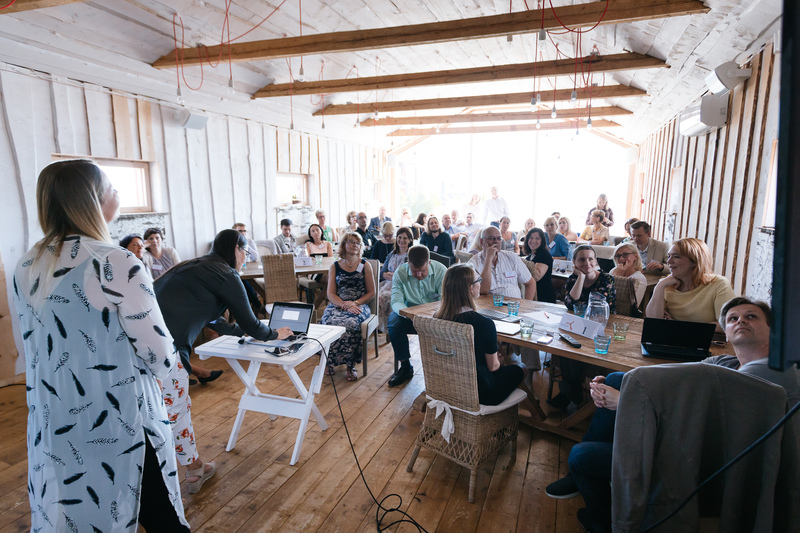 The ideas can be presented until 14 August (incl.) via the website hivdigital.ee. All eligibility criteria and specific task descriptions are available on the website. 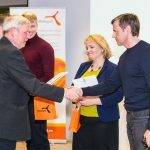 Estonian health technology cluster Connected Health and GlaxoSmithKline Estonia begin to carry out a project called HIVdigital. The aim of this project is to boost the development of digital solutions that would give better healthcare access to people who are HIV+ and help with their adherence to treatment. The project is being financed by ViiV Healthcare and supported by Ministry of Social Affairs. 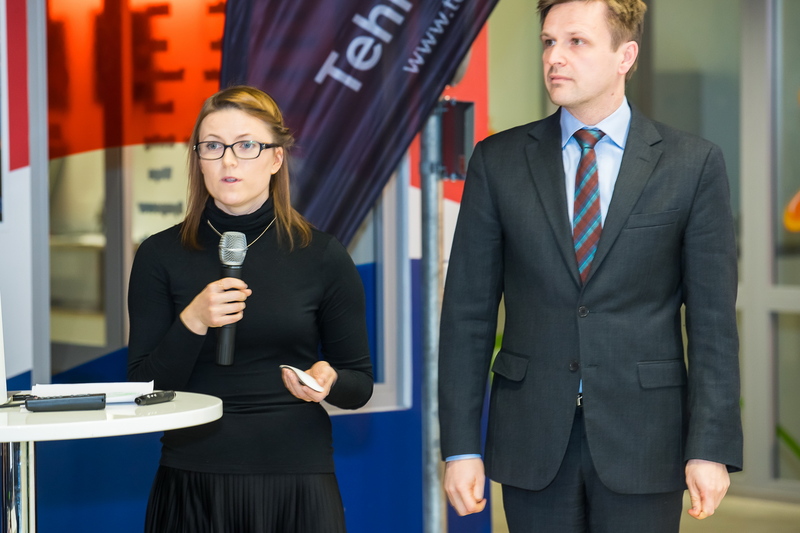 “We are hoping that an award fund of EUR 100 000 for testing and developing the best solutions with an opportunity to receive comprehensive expert advice in the development process will bring a lot relevant participants to the design contest that will be announced in mid-June,” Kitty Kubo, Innovation Manager of the Connected Health Cluster lead by Tehnopol Science Park stated. For the digital solutions being created to meet the actual needs of HIV+ patients as well as health care and other specialists directly involved with them, the parties involved with the field of HIV will formulate a problem for the design contest in the strategic design workshop held during the last days of May. “We have called together all parties related to the work with HIV – doctors, nurses, counselors, social workers, patents, officials and others – to determine the problems patients have on their journey to the services that could be resolved using digital solutions. Topics related to HIV call for a complex approach, for the system has many different parts that have to function together. Using strategic design enables us to see a big picture and to approach the problems from the perspective of people with HIV,” explained Kitty Kubo. 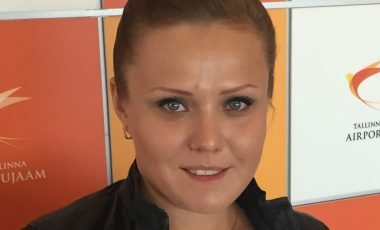 Ministry of Social Affairs has supported the project, and according to Ain Aaviksoo, Deputy Secretary General on E-services Development and Innovation, HIV-related topics are a priority for the Government and innovation cooperation with the private sector is to be welcomed. “Good ideas are not only created by the state. We move on faster with the cooperation of private and public sector. 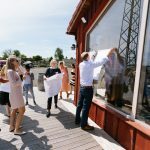 We must create an environment for good ideas to become a reality and HIVdigital is an excellent example of how it can be done,” Ain Aaviksoo added. 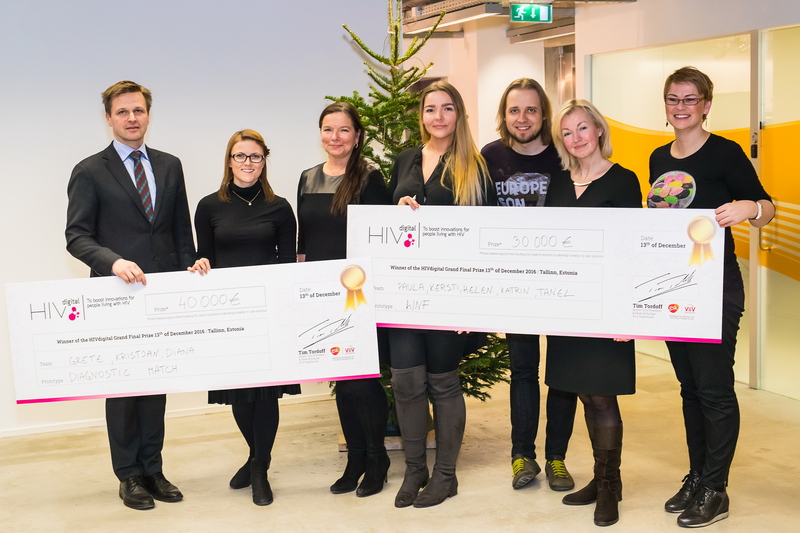 Project HIVdigital is funded by Positive Partnerships program initiated by ViiV Healthcare (https://www.viivhealthcare.com/) – a global company with the aim of raising quality of life for people with HIV. The goal of the program is to channel the resources to work out more efficient solutions and develop services for HIV+ patients. 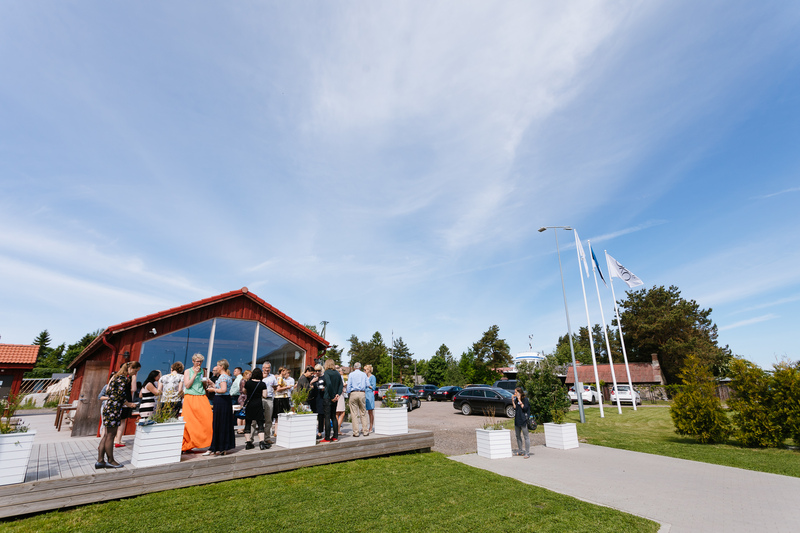 In total, 22 countries all over the world submitted their ideas to the competition and Estonia was selected together with Italy, Spain, UK, Canada and Brazil. 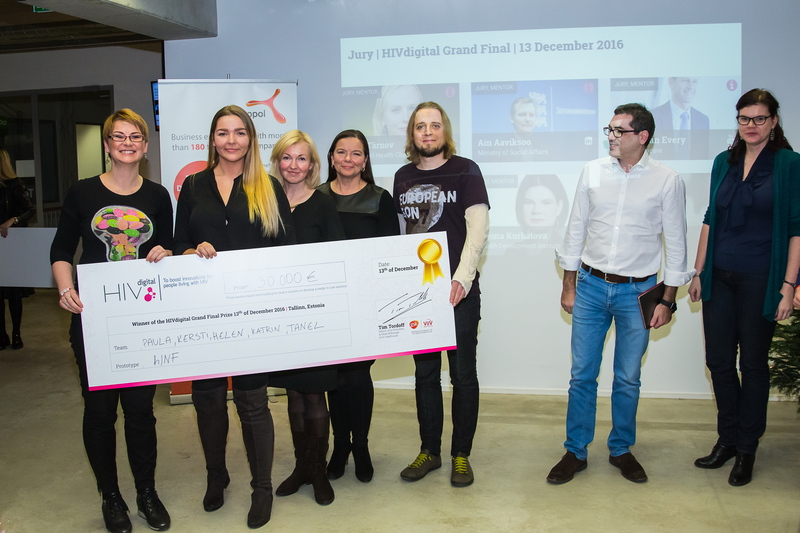 Estonian project HIV Digital was considered to be the best among the participants. 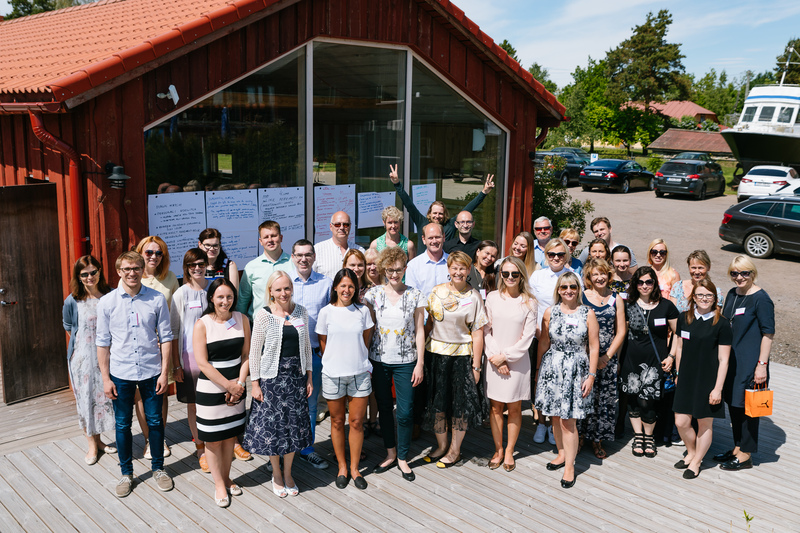 Külle Tärnov is boosting business development and collaboration in health technologies. 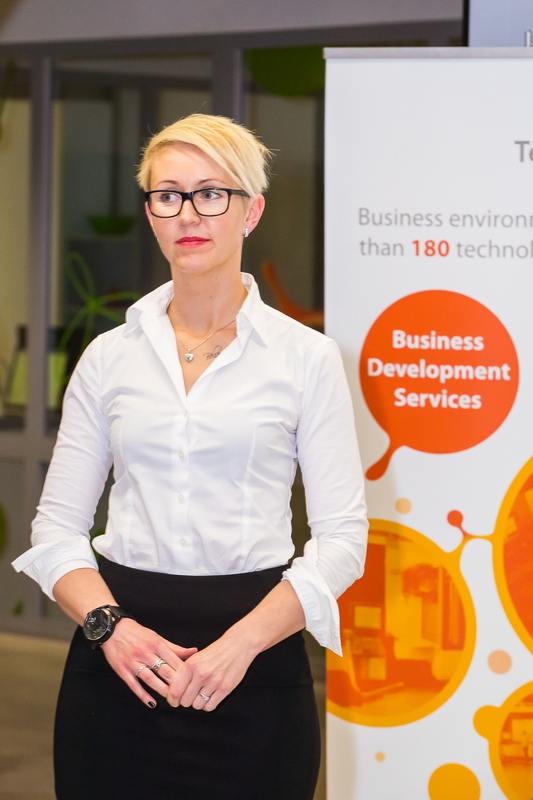 She is leading Estonian Connected Health Cluster and coaching Estonia health tech tech startups. 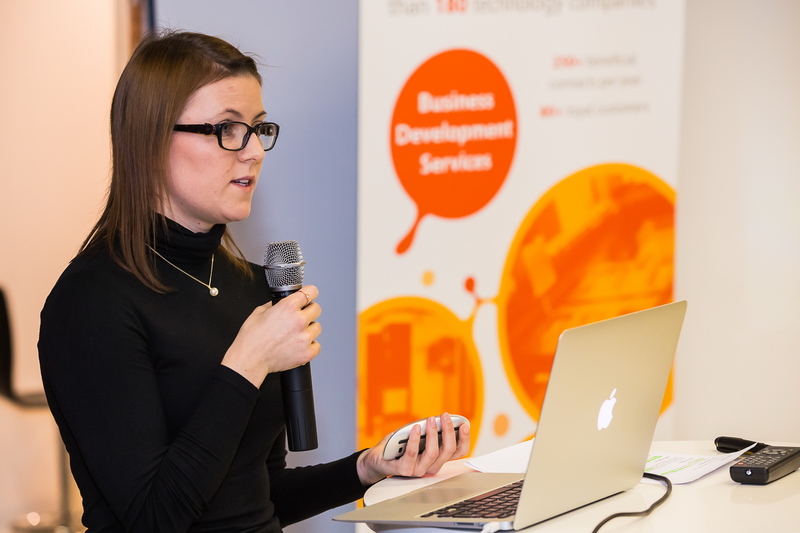 She is facilitating entry to new markets for technology based companies and has got a significant international network to support it, including European Connected Health Alliance and ScanBalt. Külle sees HIVdigital as an opportunity to help companies enter the market with new products that aren't just innovative but which help make the world a better, more healthy place. 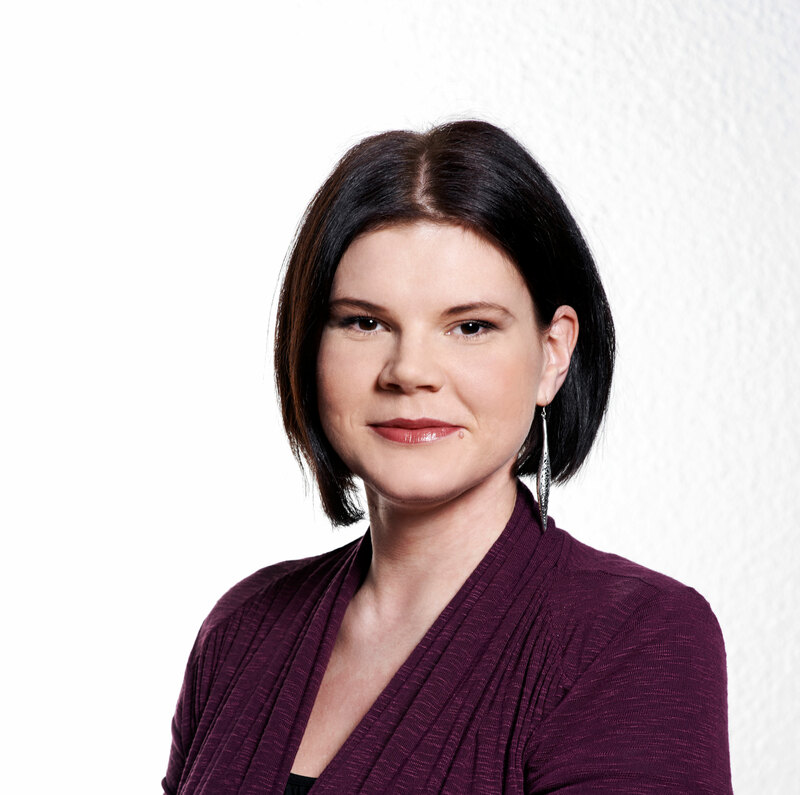 Ain Aaviksoo, MD MPH is currently Deputy Secretary General for E-services and Innovation at the Ministry of Social Affairs in Estonia overseeing the digital transformation and innovation of social security area in Estonia, including health, labour and social matters. Mr Aaviksoo recently chaired two task forces, which prepared National E-Health Strategy and National Personalised Medicine Programme respectively – both approved by the Government. He has earlier work experience as a physician, senior level civil servant, international level consultant on large system transformation and technology adoption in healthcare, health policy researcher and CEO of public policy think-tank Praxis, and health-tech entrepreneur. He is also regularly presenting as invited keynote speaker on e-services and e-society at international health care or public policy events. 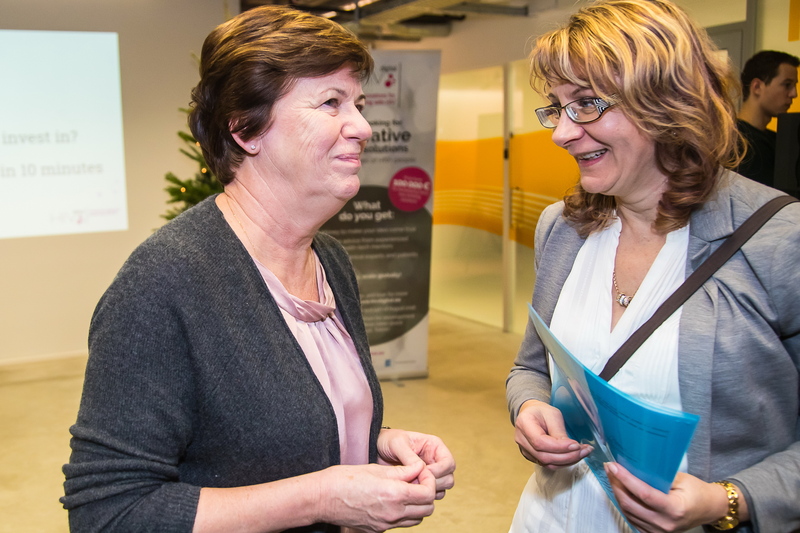 Ain believes good ideas aren’t conceived by the government alone – cooperation between the private and public sector is needed for faster progress. 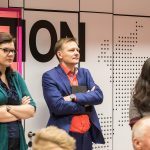 He considers the HIVdigital competition a trailblazer and a worthy experiment when it comes to co-creation. 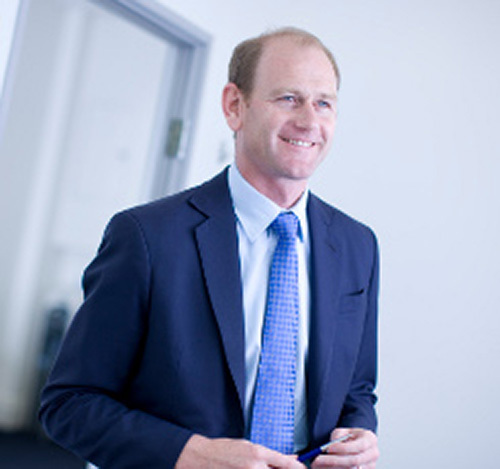 Thom Van Every is a UK-trained medical doctor and specialist in obstetrics, gynaecology and sexual health. 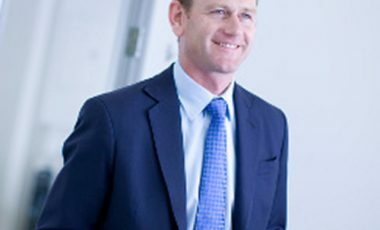 He is also an entrepreneur having founded a number of healthcare start-ups some of which he has exited (PatientChoice and DrThom) and some of which are on-going (Lemonaid Health). His work has taken him along most of the healthcare value chain from physician, to payer, to provider, to medical director of a national pharmacy chain and finally to his current role at pharmaceutical company ViiV, where he runs the digital innovation unit. He remains very interested in disruptive innovations that improve the delivery of healthcare and thus looking forward to take part in HIVdigital. 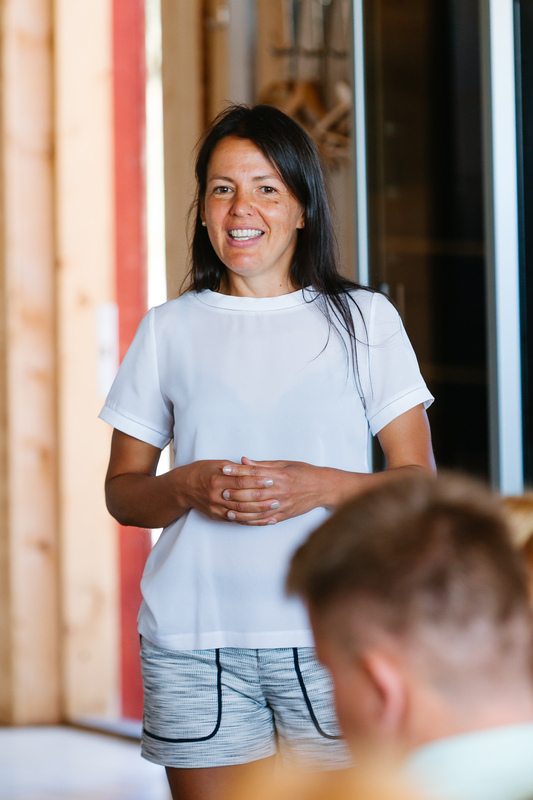 Dr Juta Kogan works as a physician in Ida-Viru County, the epicentre of the Estonian HIV epidemic. 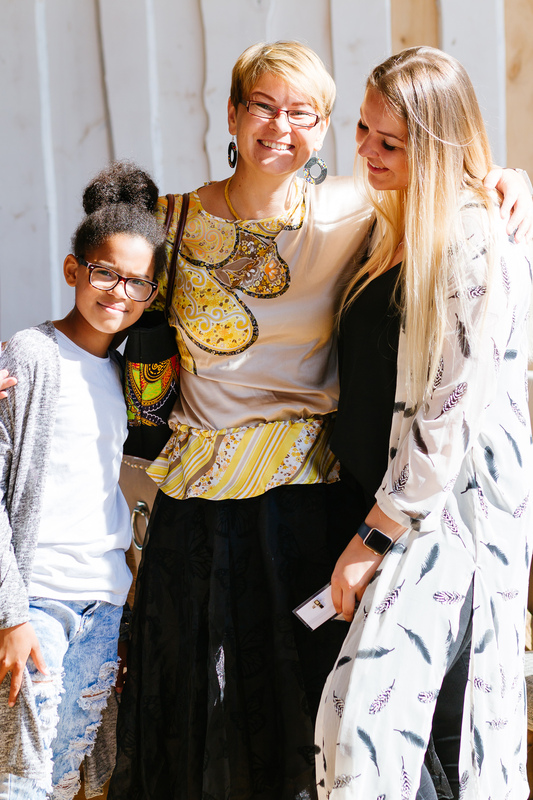 Besides her general practice in Toila, she is an infectious diseases doctor at Ida-Viru Central Hospital and the Linda Clinic, which is a private establishment in Narva specialised in providing care for people living with HIV. 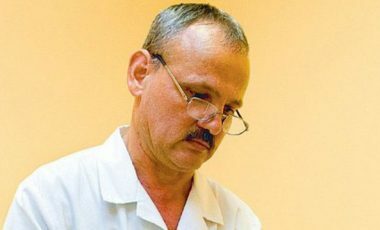 Dr Kogan has for years worked with HIV-positive inmates at Viru Prison. 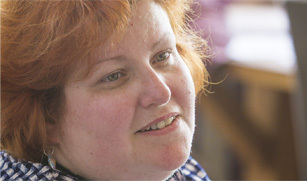 She sees nearly 500 HIV positive patients, most of whom are Russian speakers and have drug problems. Dr Kogan says that digital health solutions have the potential to increase treatment efficiency and make the service more user friendly. 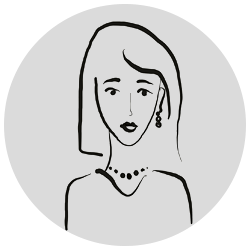 With her knowledge and experience, she wishes to be of as much help as she can. 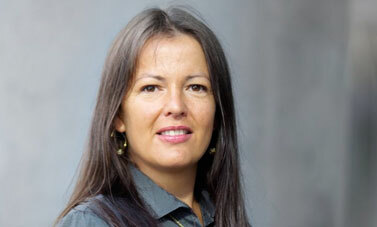 Aljona Kurbatova is the director of the Infectious Diseases and Drug Abuse Prevention Department at the National Institute for Health Development (TAI). 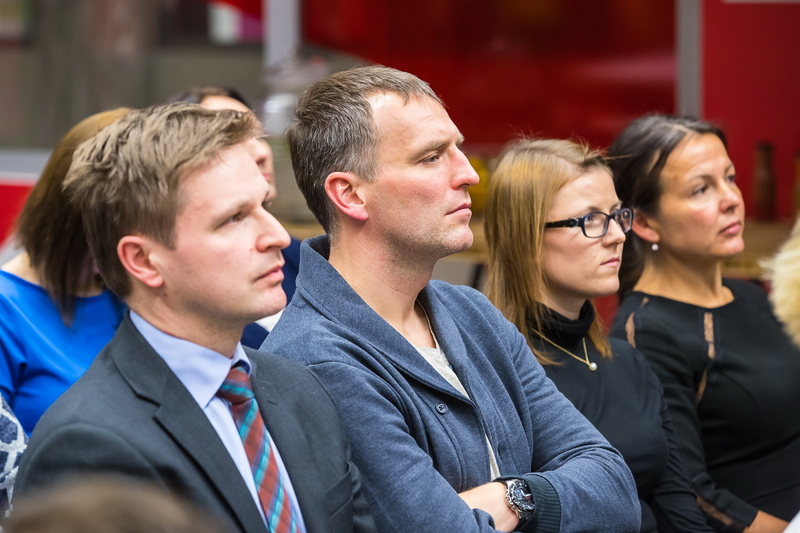 TAI is responsible for implementing Estonian policy on drug abuse and HIV and also carries out national and international cooperation projects. For instance, it develops and funds a voluntary HIV counselling and testing service, services aimed at mitigating harm in people with dependencies (including HIV-positive people with drug dependencies), and counselling services targeted at HIV-positive people, among much else. Aljona has worked in the area of public health since 2002 and has dealt with HIV topics for more than 10 years. She was inspired to participate in HIVdigital by the opportunity to find new solutions for making the services that HIV-positive people need better available and thus improving their quality of life. Nikos Dedes is a founding member and president of Positive Voice, the association of people living with HIV in Greece. He is a former coordinator of the Patient and Consumer Commission of the European Medicines Agency and former president of the European AIDS Treatment Group (EATG) - the foremost patient driven advocacy group in Europe. Born and bred in Salonica, he studied film before moving into activism around HIV/AIDS. He is based in Athens and frequently travels to HIV/AIDS conferences around the world. Information technology (IT) has created applications and social media that have already changed the way people learn, communicate and relate to each other. 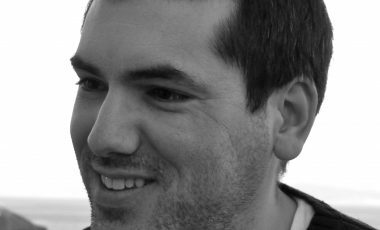 Nikos is convinced that IT will continue to play an increasing role in health solutions for personal use but also in shaping policies and programs. And that patients and their advocates must be at the forefront of those innovations. 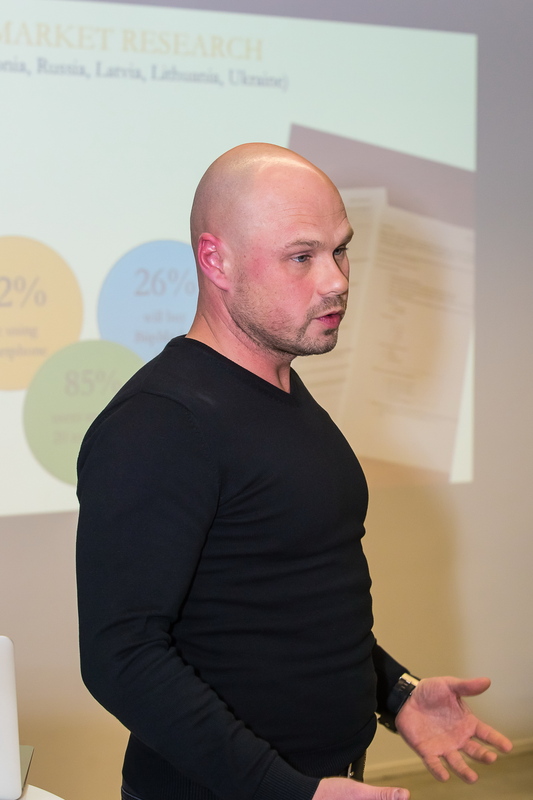 Priit Kruus is a CEO of the digital health strat-up Dermtest and a digital health expert. He has 8 years of healthcare analytics and management experience in the public and private sector. HIV is a complex disease where cooperation of different health system counterparts at all levels of care is needed in order to fight it. 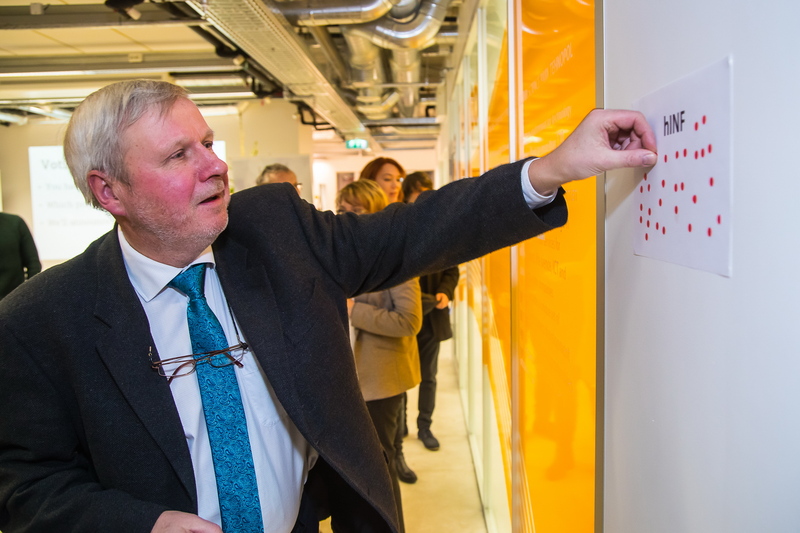 Priit believes that Dermtest's experience in fighting skin-cancer can be used in designing the solution for more effective prevention and treatment of HIV also. The goal should be no less than reduction of HIV related deaths and spreading by 100%. 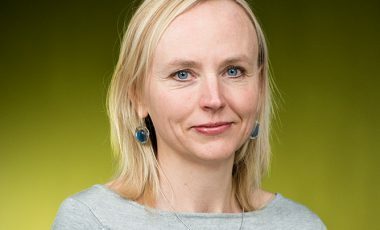 Dr Kersti Kink works at the West Tallinn Central Hospital’s Infectious Diseases Clinic, which is Estonia’s largest centre devoted to the treatment of infectious diseases. In terms of quality of the services provided to people living with HIV, the clinic is of a European calibre. Of the 2,492 HIV-positive patients registered at the clinic, 1,601 are receiving ARV treatment (as of June 2016). Dr Kink is an infectious diseases doctor with considerable experience – she has been working at the clinic for 30 years and is currently in charge of the outpatient department. 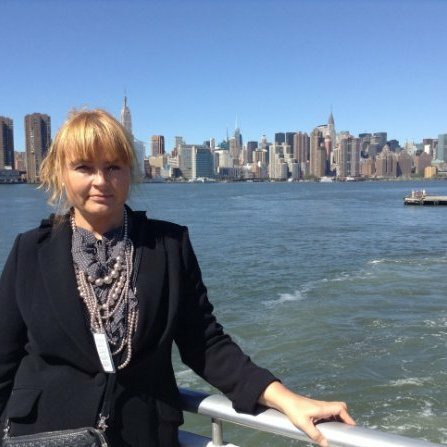 She has 352 patients on her list, including 23 children who were born HIV-positive in Estonia. The HIVdigital competition appeals to Dr Kink’s desire to contribute to the inception of new solutions on a topic that is important to her. 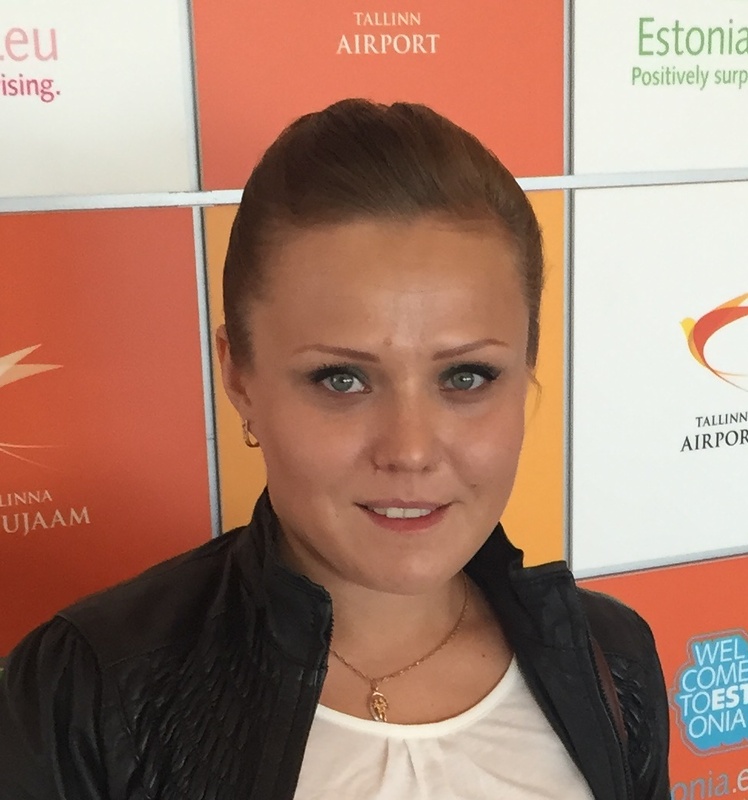 Jekaterina Smirnova is a social worker at the Estonian Network of PLWH. 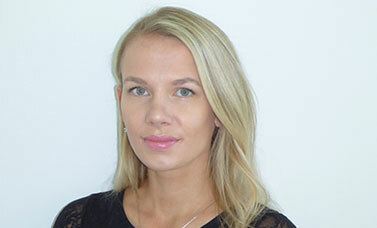 Jelena Antonova is the treatment adherence director and peer counsellor for the Estonian Network of PLWH, the non-profit organization supporting people living with HIV in Estonia. 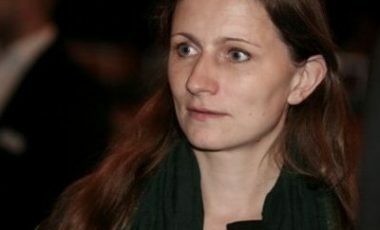 Jelena decided to take part in the HIVdigital competition out of her desire to contribute to defeating the HIV epidemic. In her experience, the stigma and discrimination associated with HIV are obstacles to HIV treatment and prevention. 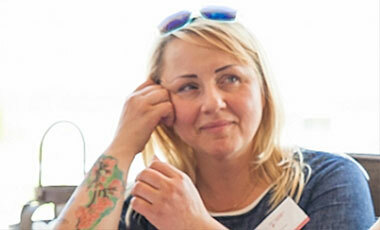 HIV-related problems are familiar to Jelena as both a patient and support service provider. She believes that sharing her experience will also benefit the developers of digital health services taking part at the HIVdigital competition. 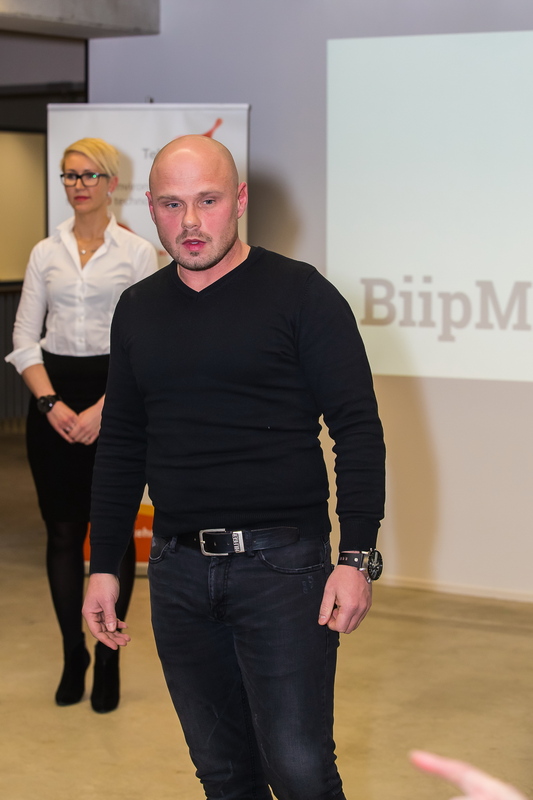 Madis Tiik is an acting general practitioner, entrepreneur and e-health innovator and evangelist. 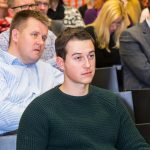 He has had the good fortune to be on board for the launch of e-health developments in both Estonia and Finland. 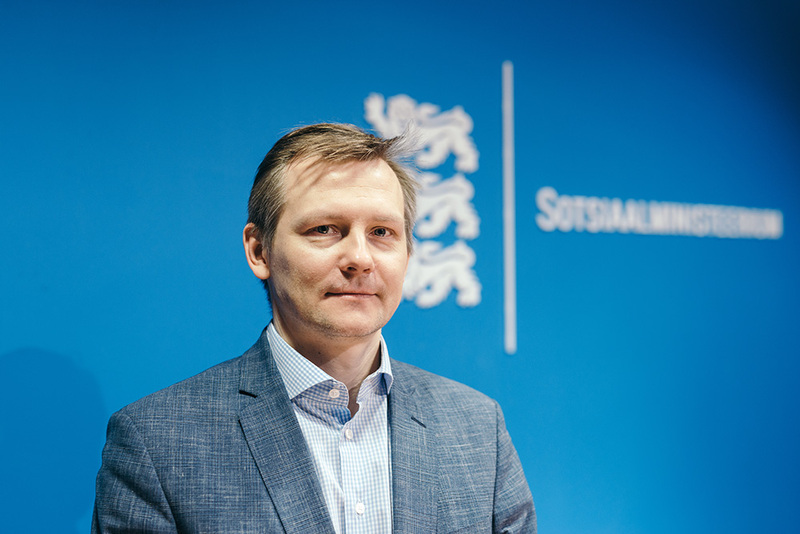 Madis, who previously served as director of the Estonian E-Health Foundation, has in recent years been a health technology advisor at the Finnish Innovation Fund SITRA. Being on the frontlines of health technology, he is a sought-after inspirational speaker on the stages of the world’s start-up events. For inspiration, Madis himself seeks out Dr Eric Topol at the Scripps Translational Science Institute in the US. Madis maintains that new technological solutions won’t be compatible with today’s healthcare system and that’s why he enthusiastically works to change the system. 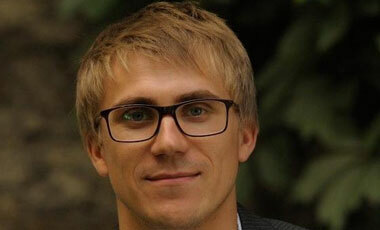 As one example, he is one of the leaders of a virtual clinic being piloted in Finland. 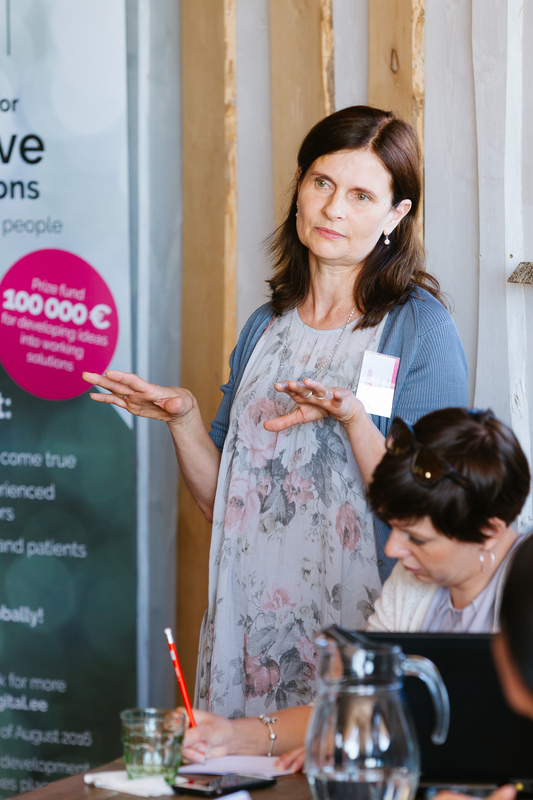 Tamara Dmitrijeva is a senior nurse in Linda Clinic (Narva, Estonia), established for HIV-positive people. She has got a twenty-year medical experience of work in departments of Urology, Oncology, Surgery, Emergency Medicine in Ida-Viru hospital. Since 2013 she has been working in Linda Clinic. 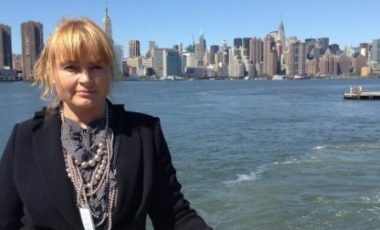 Her work is directly connected with drugs dispensing, monitoring the course of treatment and consultancy not only before the start of medication, but later on, during the course of treatment aimed at increasing of adherence. 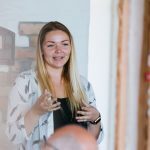 During the HIVdigital competition she would like to share her work experience, discuss relevant problems and to listen to the developers of new ideas to implement them in her work later. Kristi is CEO and founder at HealthDiary. 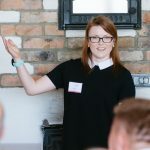 Since 2012 she’s running a team that's passionate about delivering new technology and new mind-set to the healthcare industry that badly needs them. 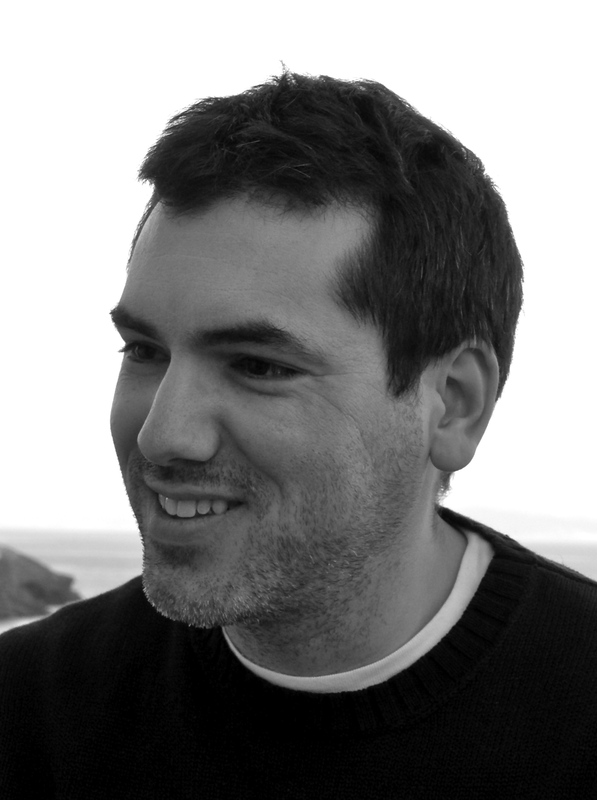 Paul Vahur is specialised in innovation events. 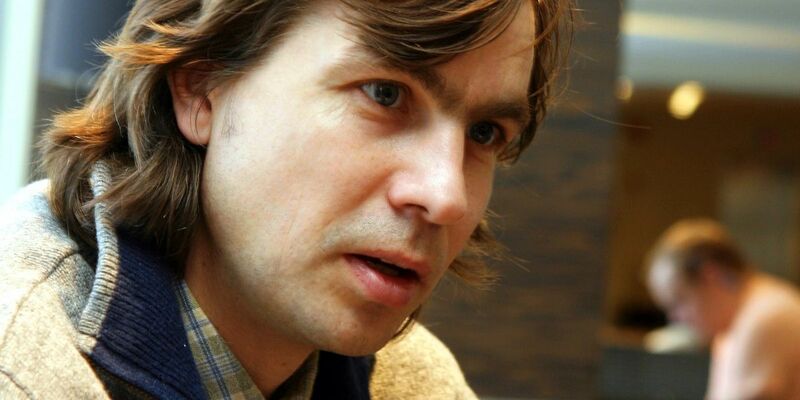 He has recently organised hackathons for Microsoft in many European countries. He believes in hackathon’s co-creation model and finds that HIVdigital is a great opportunity to promote it in the field of healthcare.